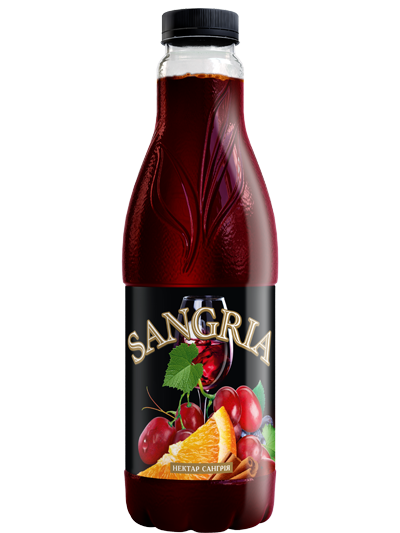 Sparkling sunny orange on hypnotic velvet of red grapes covered with light veil of cinnamon. 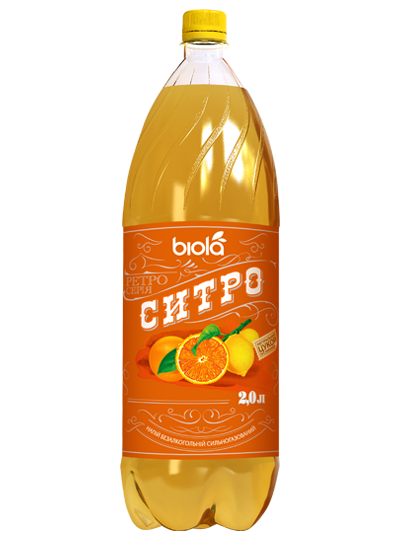 Alcohol-free version of traditional Spanish cocktail gives summer mood throughout the year! 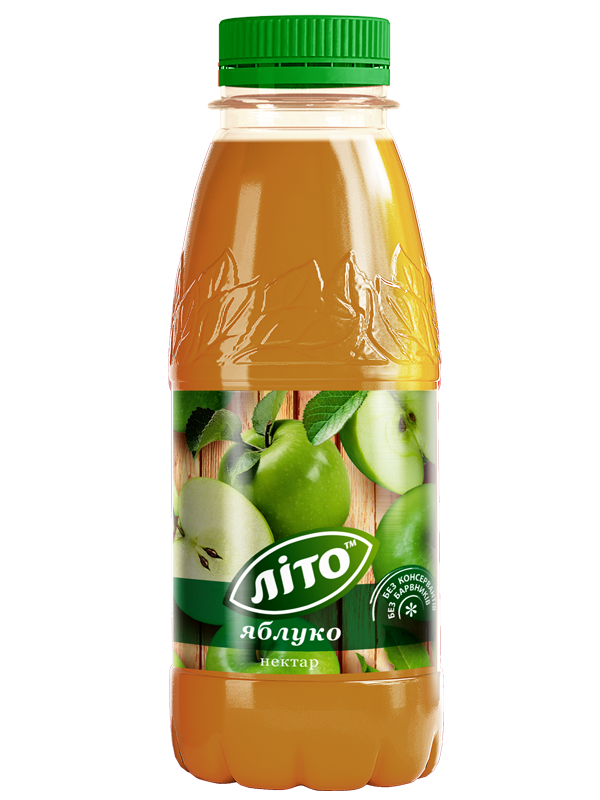 Excellent juice version of the famous same-name cocktail, which is distinguished by its unique taste. 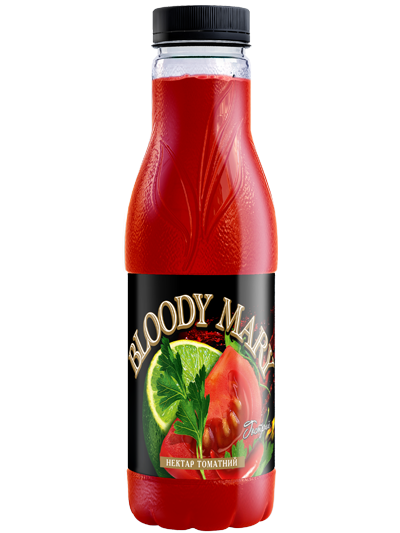 At the core of complex formulation «Bloody Mary» - quality tomato juice, chili pepper, lime juice, salt and expertly chosen combination of spices. As well as a beautiful drink that will complement your holiday menu, it's also the most appropriate basis for eponymous alcoholic coctail. 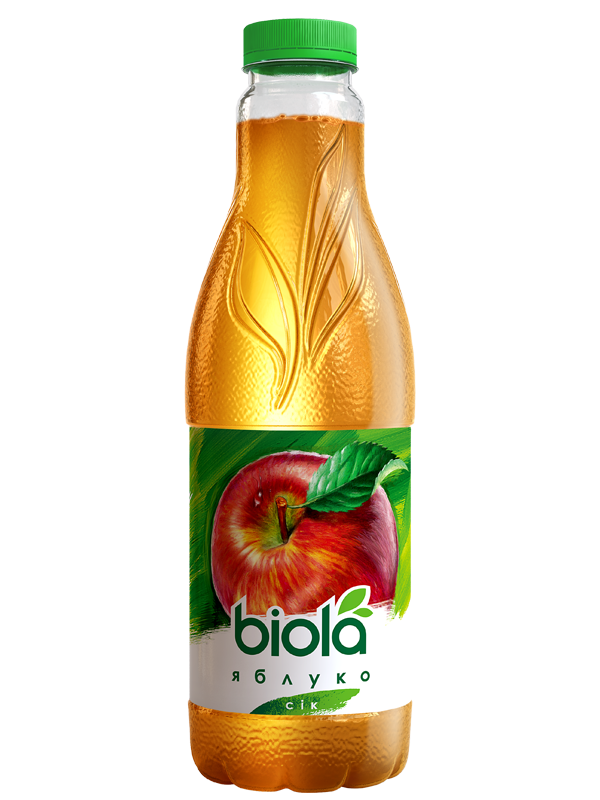 Fine refreshing nectar that gives you cheerfulness, energy and activity. 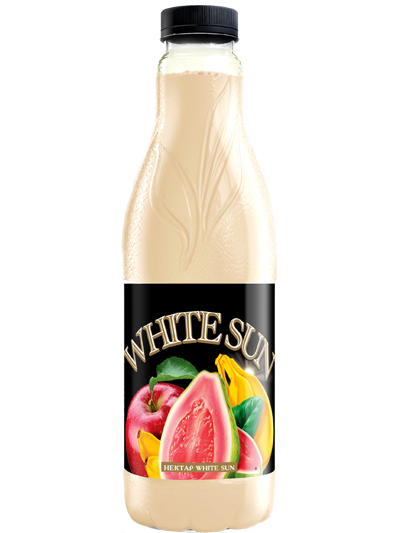 Original fruit duo will please fans of bright banana flavor and delicate aroma of strawberry. 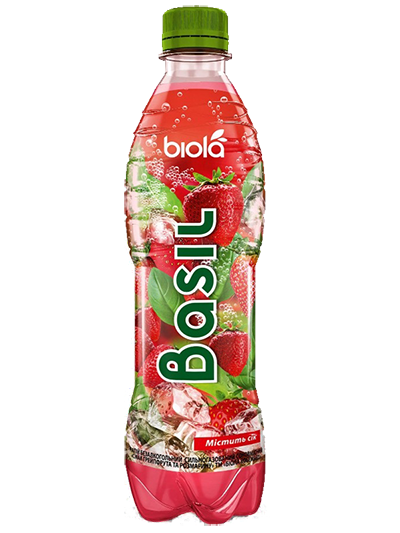 Strawberry contains greate amount of vitamin C and minerals. 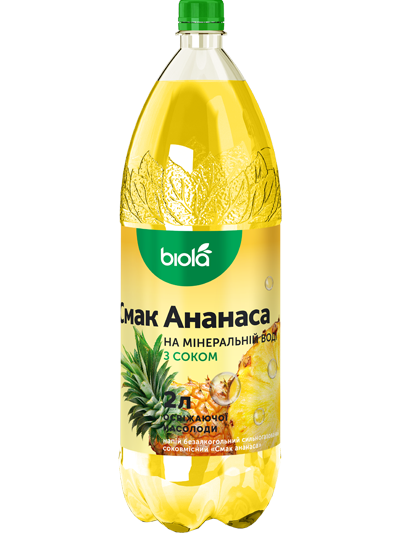 Banana pulp is rich with ascorbic acid (vitamin C), as well as pro-vitamin A, B vitamins, pectin, potassium and magnesium. Homeland of banana is India. 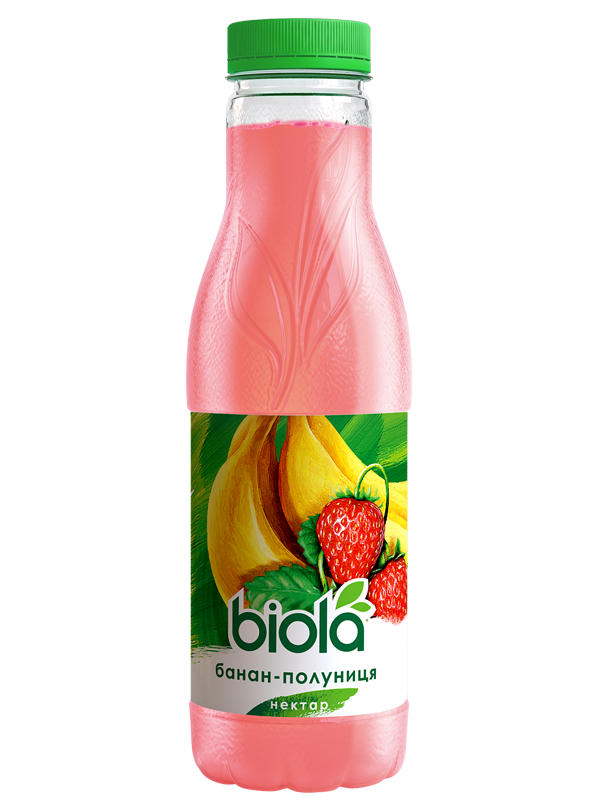 In Malaysia, China, India, banana was considered to be a sacred fruit that restores body energy and nourishes the mind. 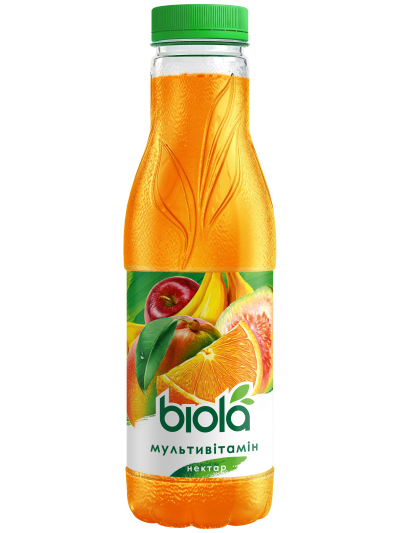 It's a whole pantry of vitamins and minerals. 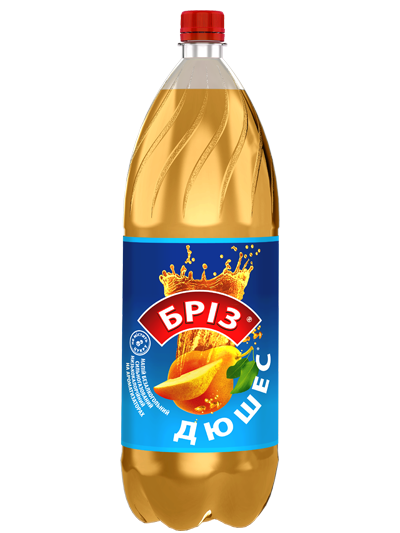 Juicy mangoes contain antioxidants, calcium and iron. 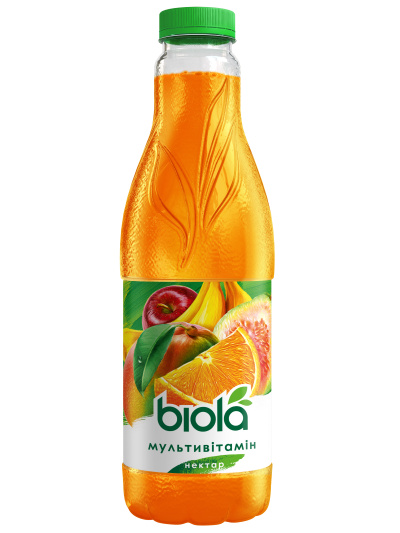 They are rich in carotene, pectin vitamins A, B, C, D and E, ascorbic acid, magnesium, phosphorus, potassium, sodium and zinc. 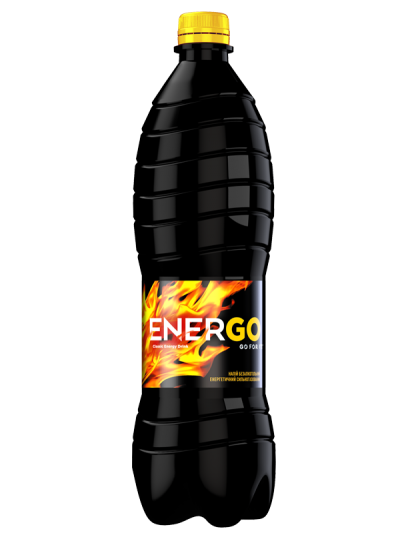 Mango is an excellent source of iodine, which is an essential trace element. Mango helps to improve the cardiovascular and digestive systems. 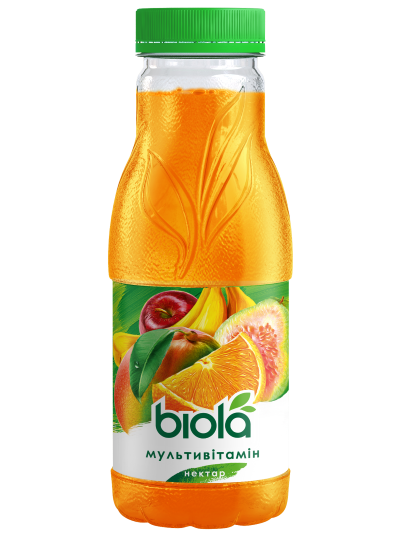 Juice "Biola" Orange-Mango is a great and useful combination of bright orange and exotic mango. 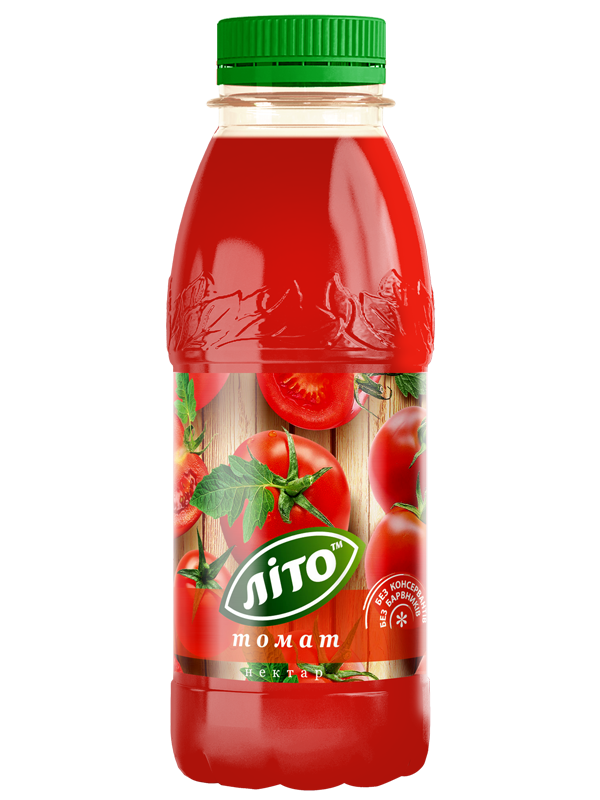 Tomato rich in vitamins A, C, B, PP, K, trace elements and mineral salts. 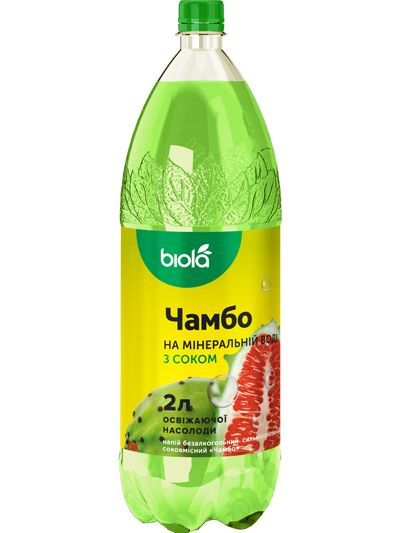 Contains malic and citric acid, essential elements for the metabolic processes of the body. 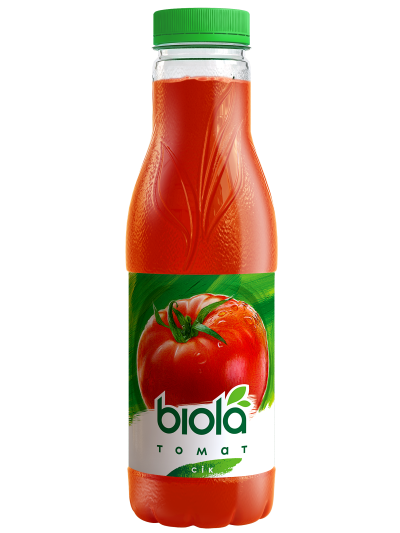 Tomato juice is rich in lycopene which is a powerful antioxidant. 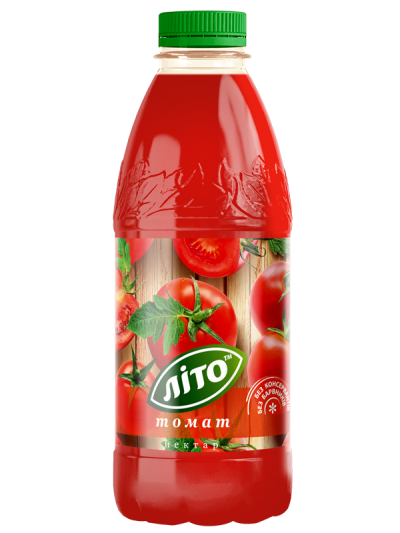 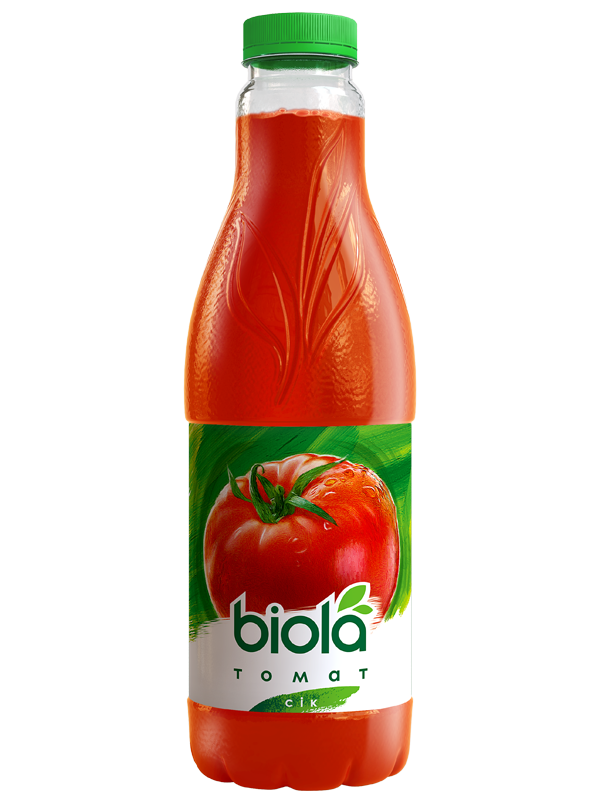 Juice "Biola" Tomato combines biologically active substances, has a low calorie and a fine taste. 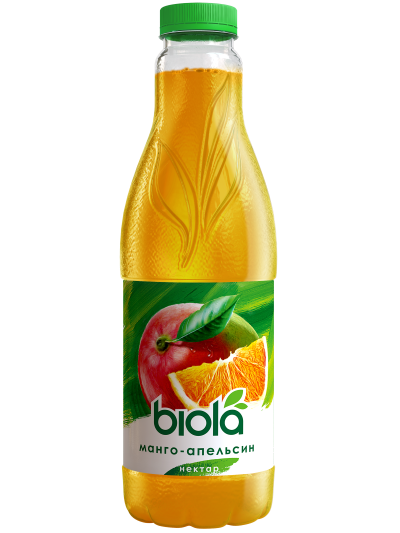 This nectar is a mix of tropical fruits such as orange and banana. 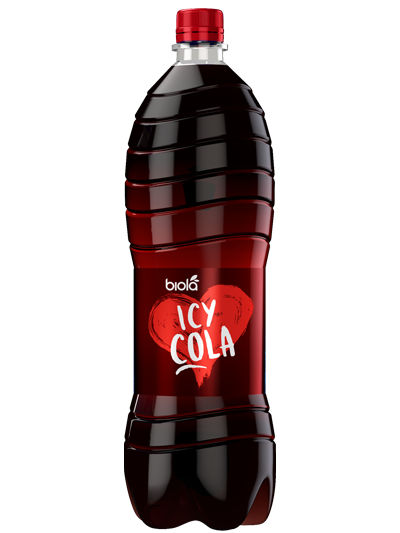 Besides sugar contains amino acids and organic acids: citric, malic, tartaric and succinic. Trace elements: Ca, І, Mg, P, K, Na. 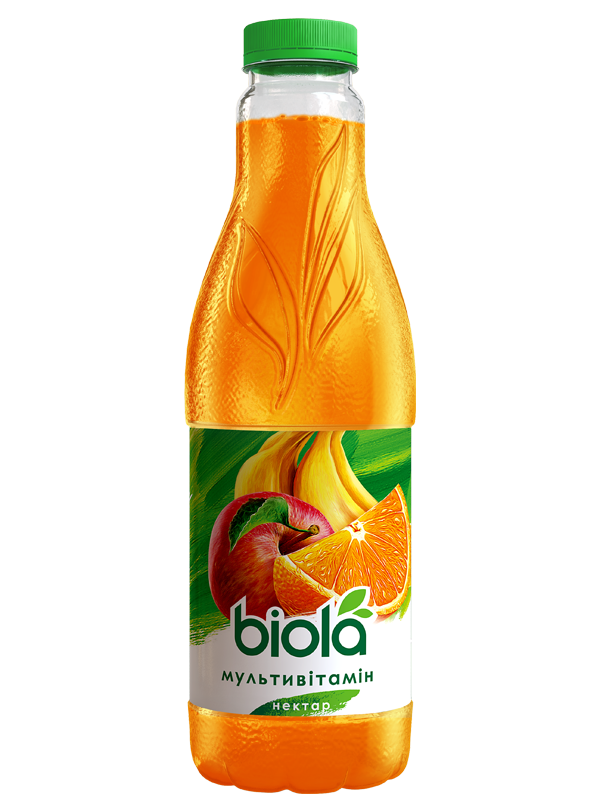 Vitamin C and beta-carotene. Juices "Biola" Multivitamin has a bright, summer-charged taste which is very popular among children. 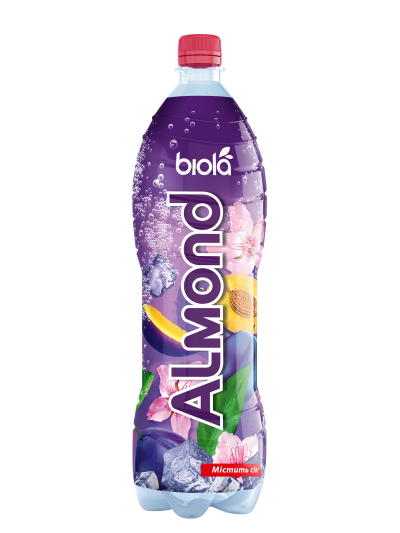 Romantic nectar that has a delicate sweet flavor with a spicy almond flavor. 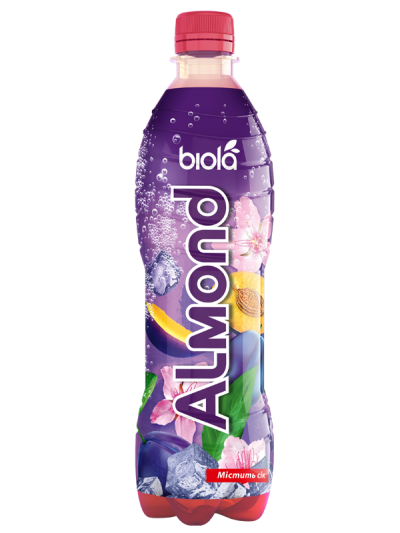 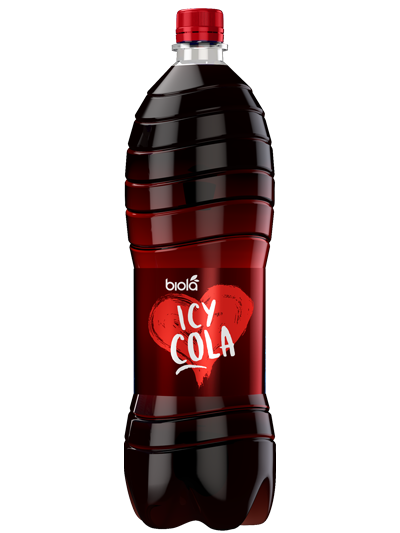 Contains glucose, fructose, sucrose, malic and citric organic acids. 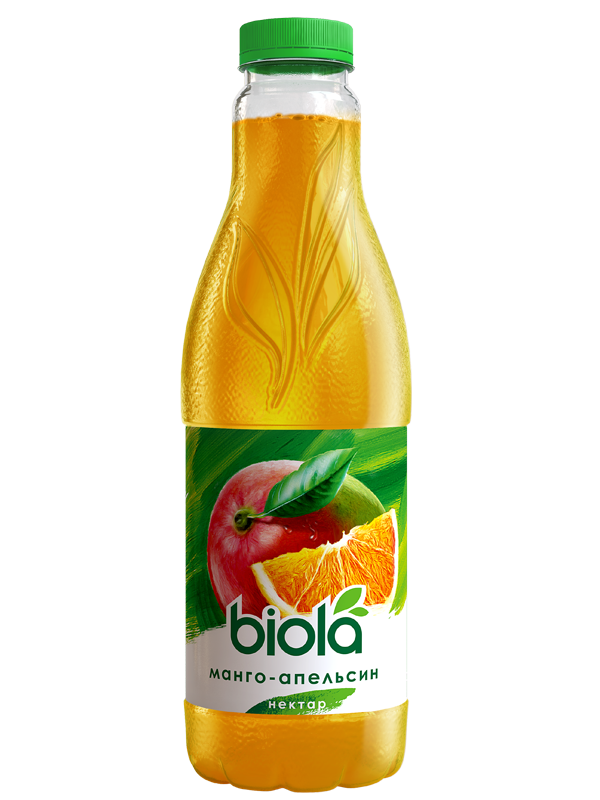 Nectar also contains minerals – Na, K, Ca, Mg, P, Fe, Cu, and vitamins – C, PP, beta-carotene, folic acid, inositol. 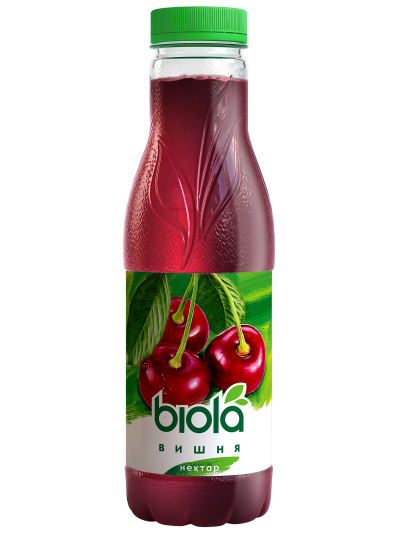 Nectar is made on the basis of concentrated cherry clarified juice. 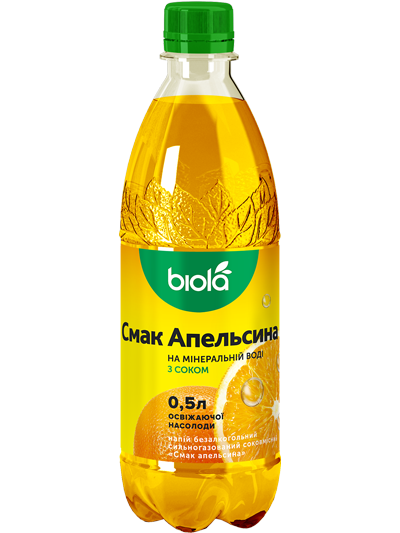 Like all citrus fruits, an orange is rich in vitamins – especially vitamin C. The mild sweetness of orange comes from glucose, fructose and sucrose. 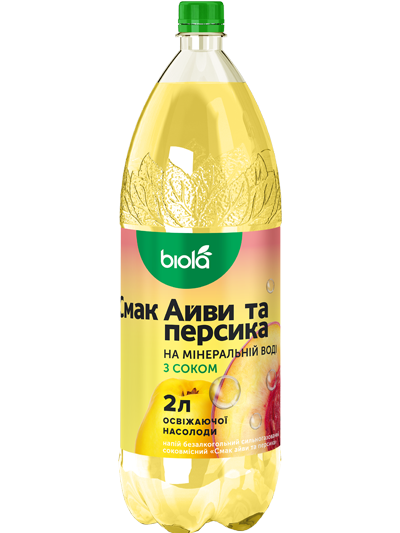 Juice contains organic acids: citric, malic and also a small amount of oxalate. 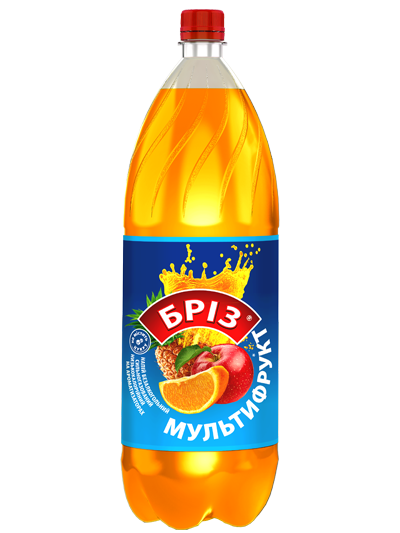 Peel of orange has essential oils that give a juice spicy bitterness. "Biola" Orange includes a concentrated orange juice, has a refreshing sweet-sour taste and a fragrant aroma of freshly picked fruits. 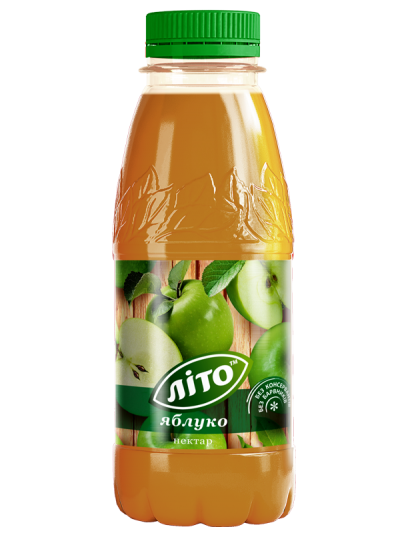 Apple is a fruit of youth and a natural boost of energy for an active lifestyle. 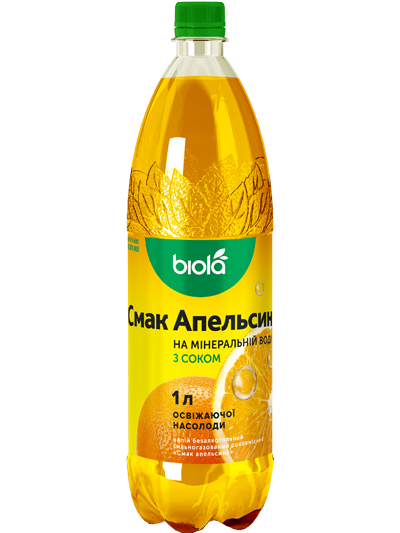 Of particular interest are pectin substances that neutralize cholesterol and eliminates harmful substances from the body.The product has a wide range of carbohydrates (fructose, glucose, sucrose), providing the energy needs of the body. 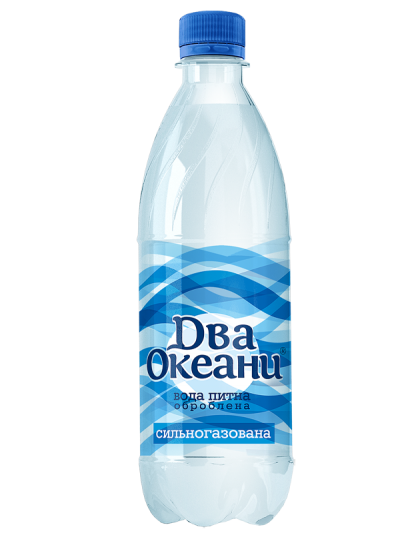 Соки и нектары «Биола» созданы с учетом вкусовых предпочтений украинских потребителей. Холодный асептический розлив помогает сохранить свежесть и полезные свойства соков без использования консервантов. Apple juice contains a lot of iron and has a miraculous ability to rid the body of heavy metals and toxins. 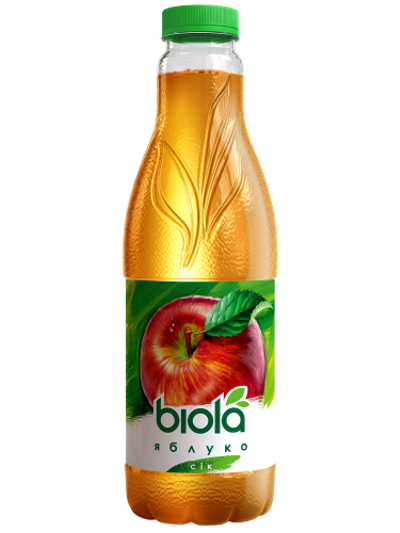 Juice prevents aging and strengthens the cardiovascular system. 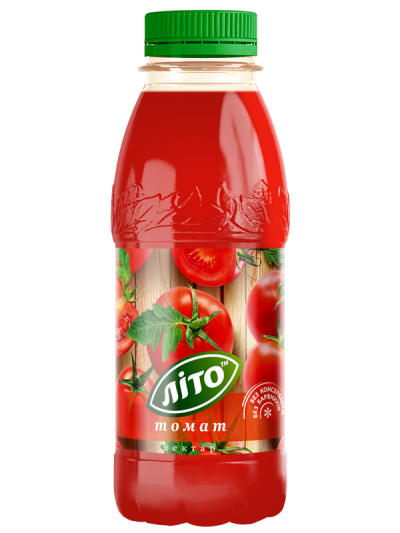 Tomato is one of the most popular and healthy juices. 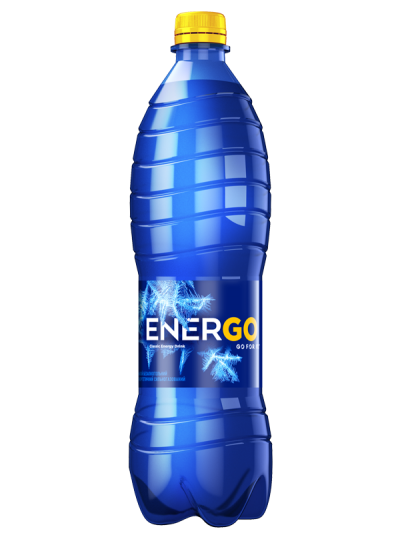 It successfully combines nutritional value and low caloric content. 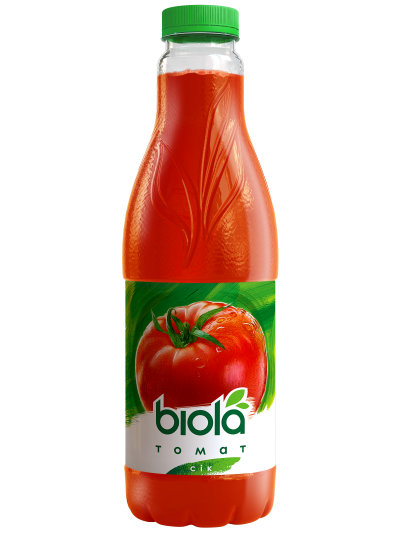 Tomato juice can be compared with citrus due to it’s contain of vitamin C. Tomato juice contains a lot of potassium needed to maintain the heart muscle. 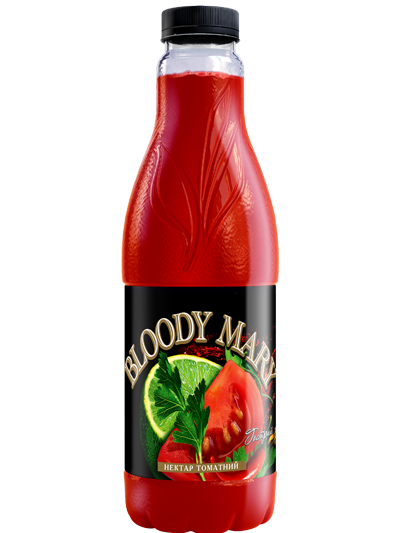 Bright bouquet of vitamin flavors conquered a lot of hearts ! 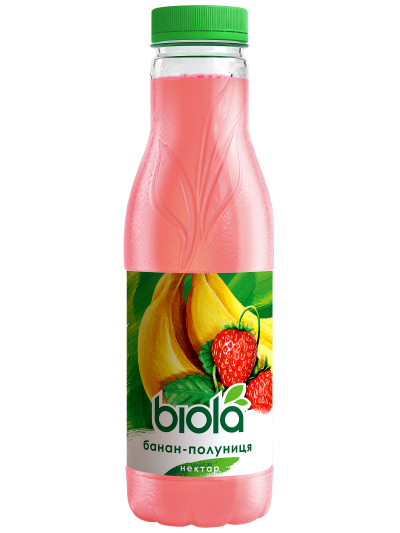 The perfect combination of tropical fruits has become a favorite for the Ukrainians. 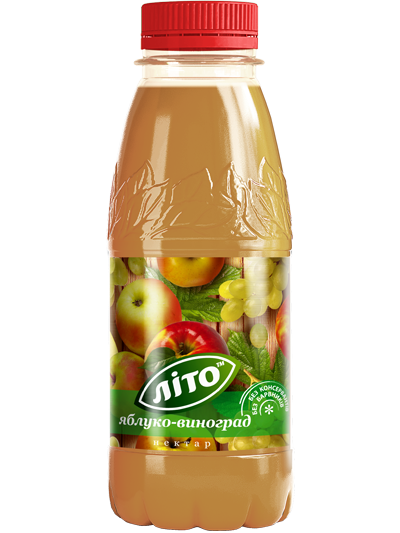 Juice gives a cheerfulness and improves mood! 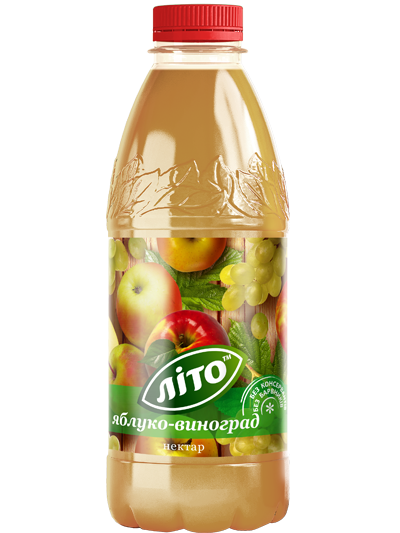 Apple and Grapes is always a good combination! 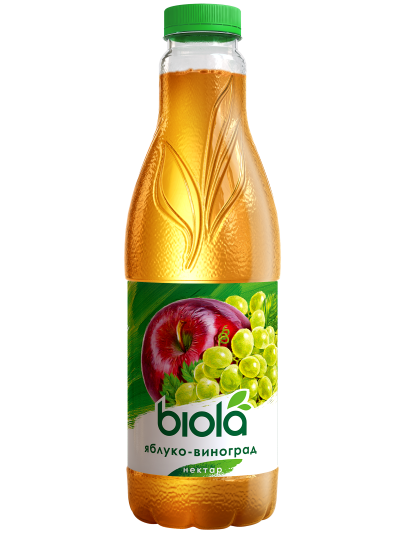 These fruits have a tonic and restorative effect, they are useful in case of insomnia or nervous disorders. 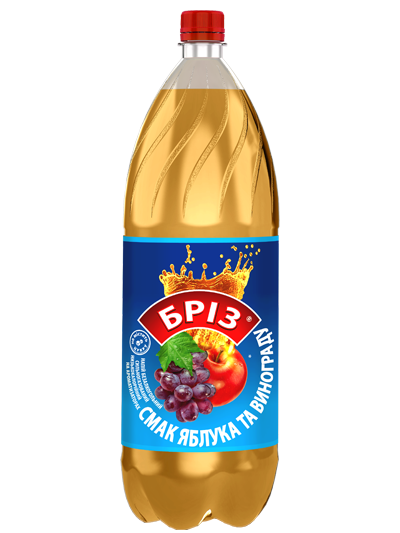 A grape juice helps with hypertension and heart disease. 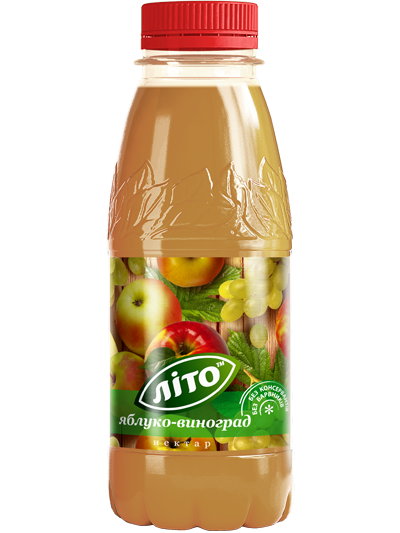 Fruit cocktail of apples and grapes is one of the most popular among kids and adults! 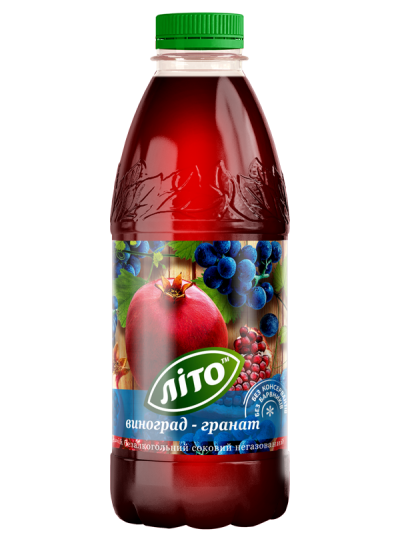 Pomegranate is a real find to your health! 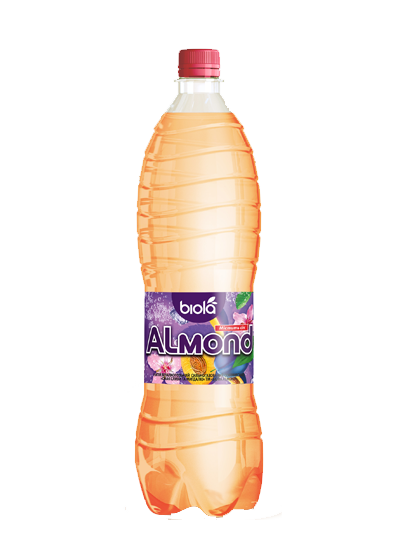 It reduces the blood pressure, restores vitamin reserve, improves digestion! 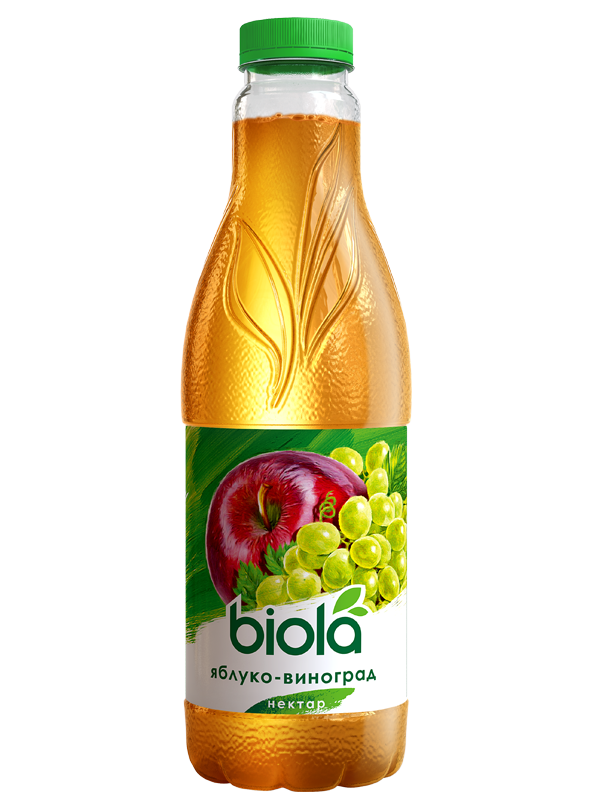 Grapes are rich in glucose, has phytoncides properties. 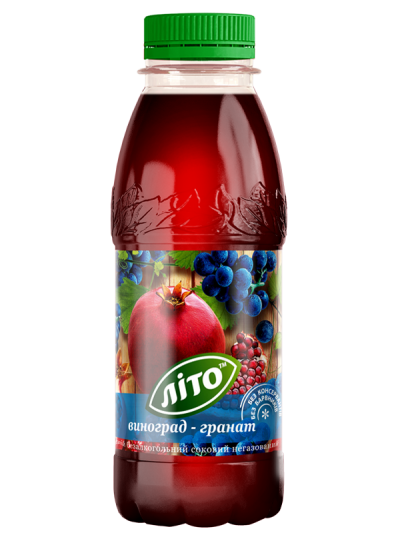 In one juice drink we combined fruits of grapes and pomegranate, so you can freshen up the taste your favorite fruit any time! 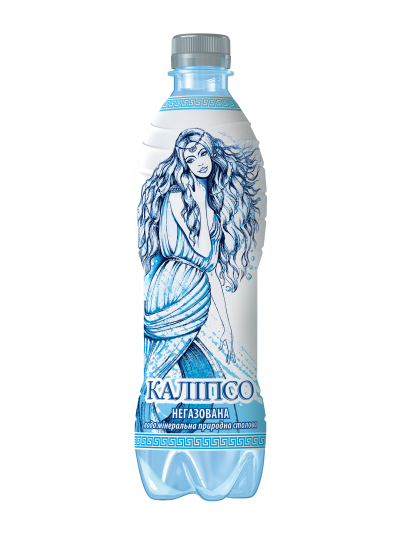 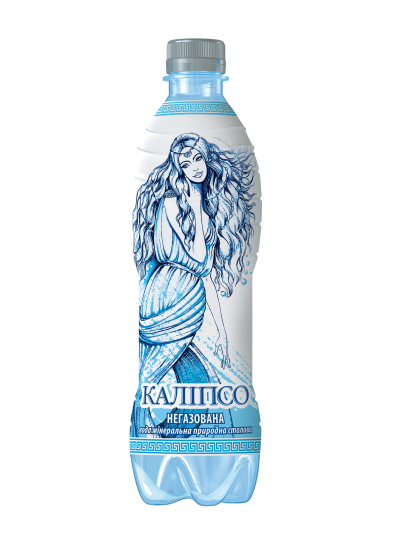 Mineral water “Calypso” is extracted in an underground mine near Kiev. 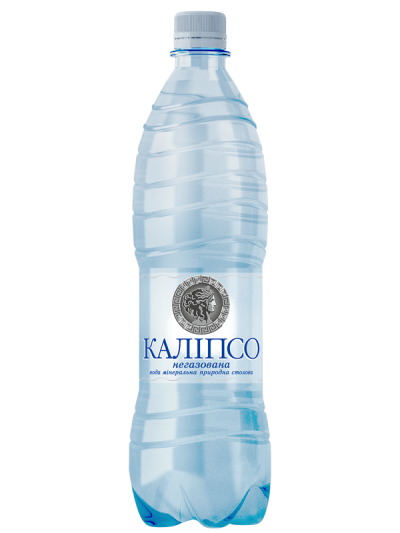 Here, at a depth of 320 meters is the source of the purest mineral water. 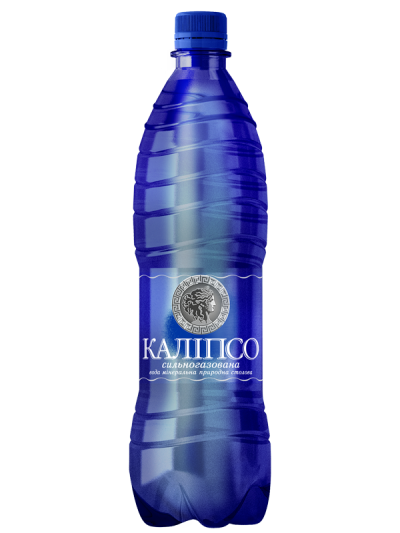 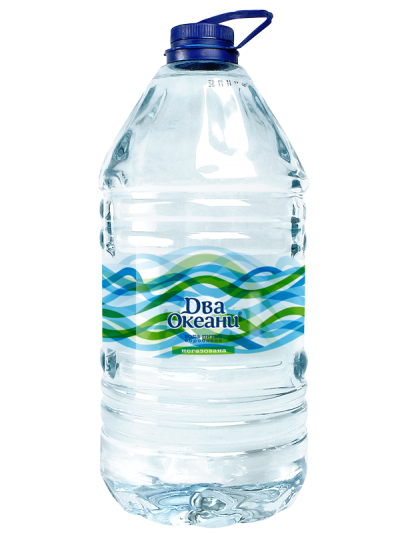 This water has absorbed the purity and good of nature , and incredible depth has kept its unique composition, purity and taste to this day. “Calypso” has a special place among mineral waters, as one of the best content content of magnesium and calcium. 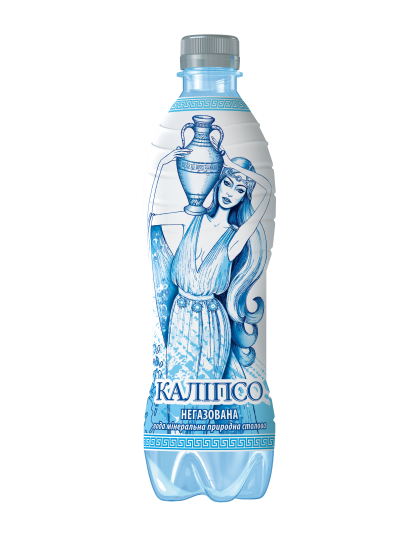 By this indicator “Calypso” is almost three times richer other Ukrainian mineral waters-leaders. 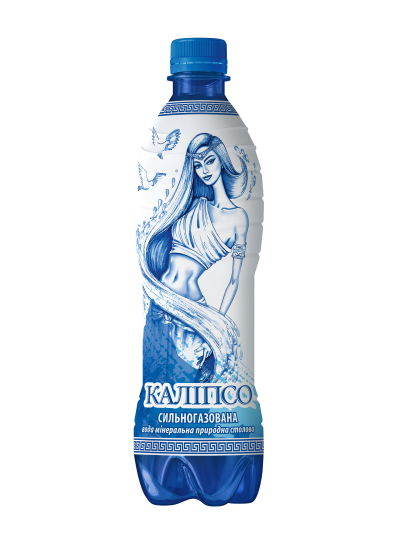 This composition makes the “Calypso” unique water that takes care of the beauty and health. 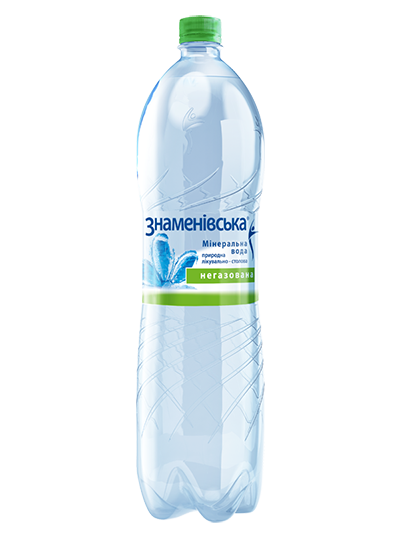 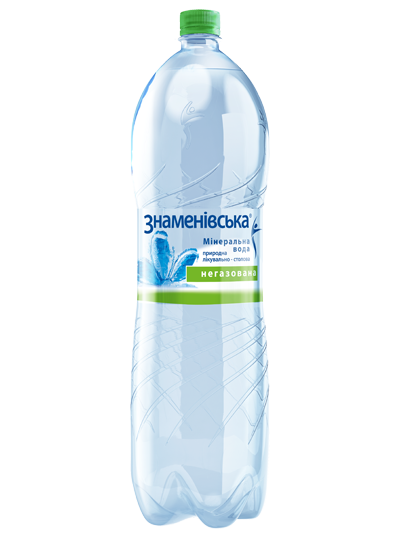 Mineral water "Znamenovskaya" extracted from natural sources, located in an ecologically clean area. Buyers appreciated its clean and delicate flavor. 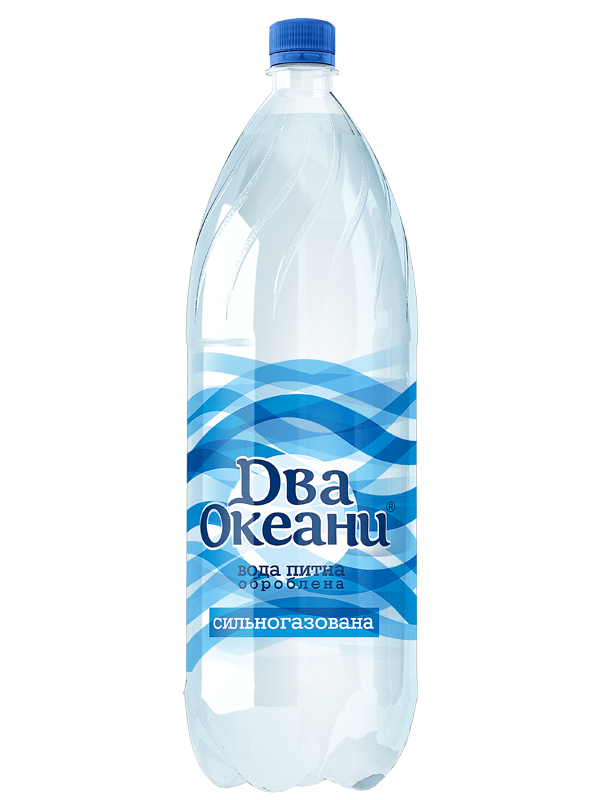 Crystal clear drinking water "Two Oceans" is ideal for everyday use. 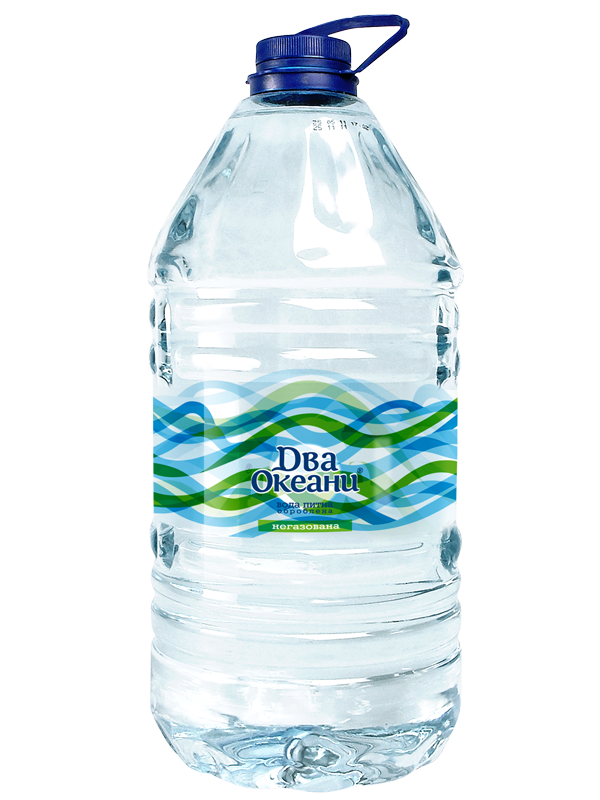 "Two Oceans" has an optimum level of salinity for table water – 0.5 g/l. 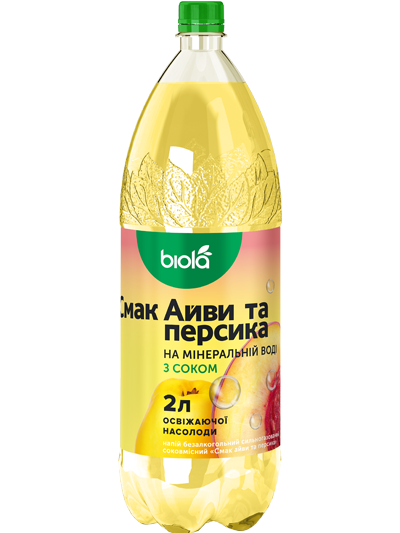 It completely fills the needs of the human body in minerals and trace elements and also prevents leaching of mineral trace elements, prevents health problems. 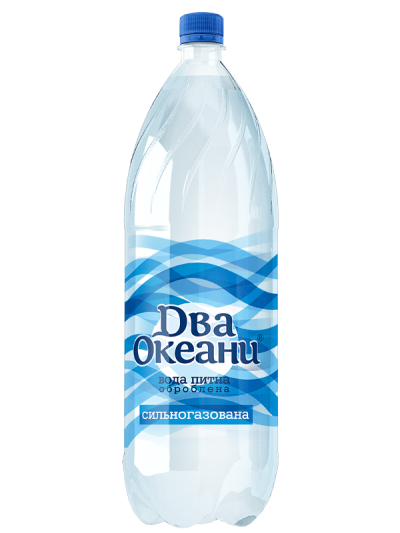 Water "Two Oceans" is irreplaceable in preparation of food and beverages. Tea and coffee are fully disclose their flavor, and dishes give us a real natural taste. 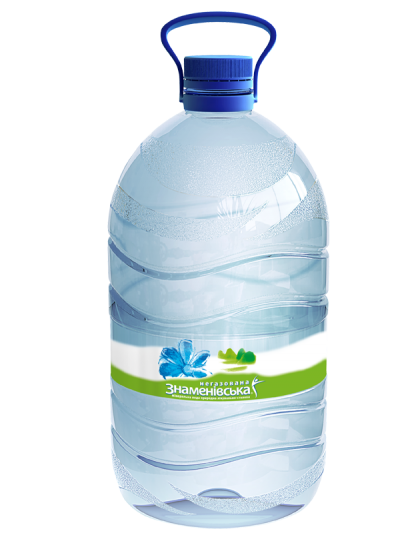 Due to technology of soft posttreatment, based on natural methods of water filtration, you can save all its useful properties and get rid of unwanted natural impurities that can not be removed by conventional filters. 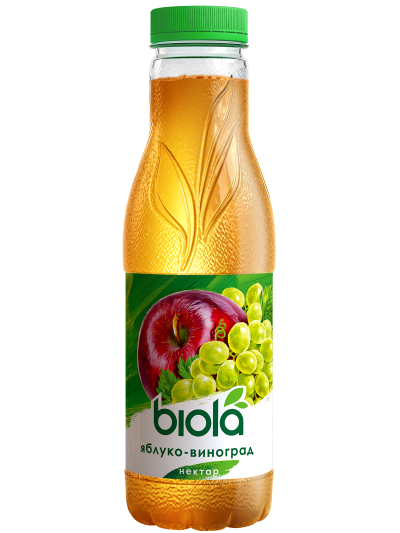 Carbonated drink with natural apple juice and aroma of the fruit cactus figs. 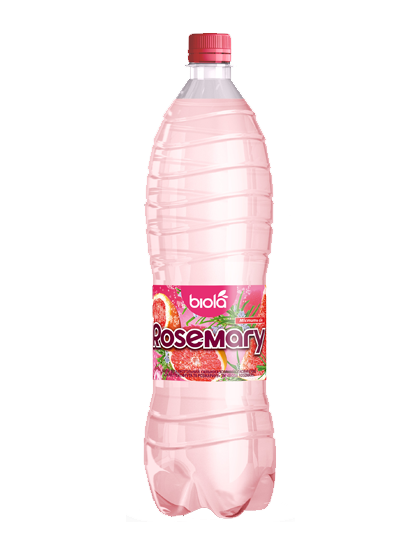 It’s fresh exotic flavor and lovely aroma of tropical fruits will give you cheerfulness and good humor. 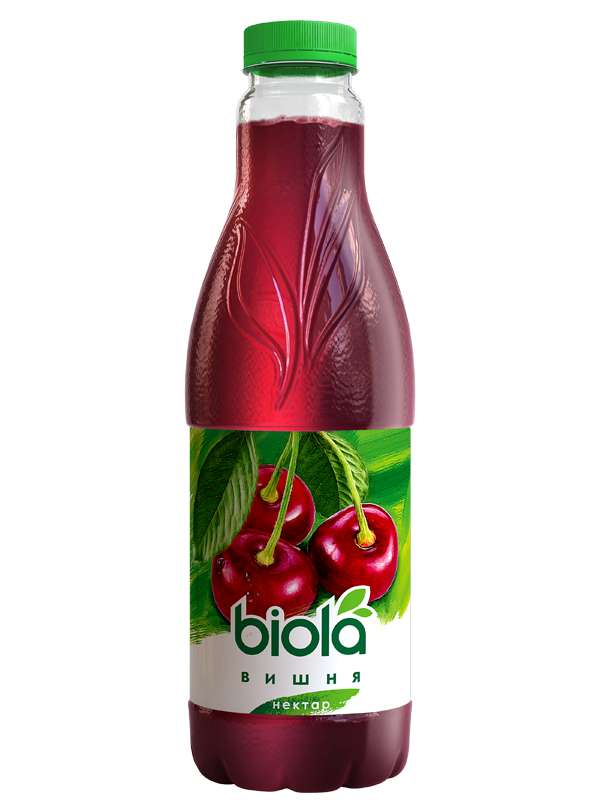 The original flavor and color make "Biola" Chambo the hit youth parties. 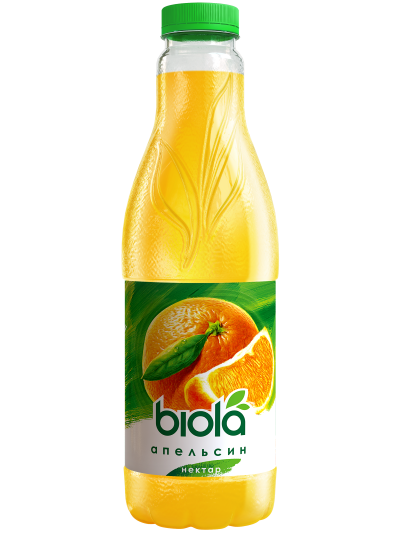 Orange is the most popular fruit all over the world and the richest source of vitamin C. The pleasant sweetness to orange give glucose, fructose and sucrose. Juice contains organic acids: citric, malic and also small amount of oxalate. 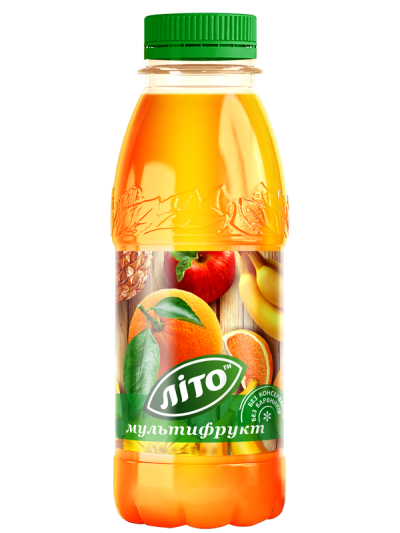 Nectar also contains free amino acids. 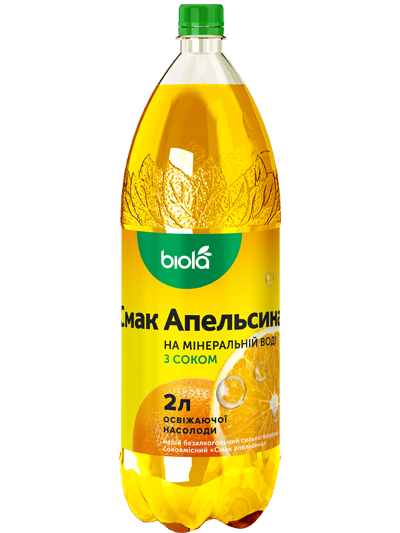 Peel of orange contains essential oils that give a juice spicy bitterness. 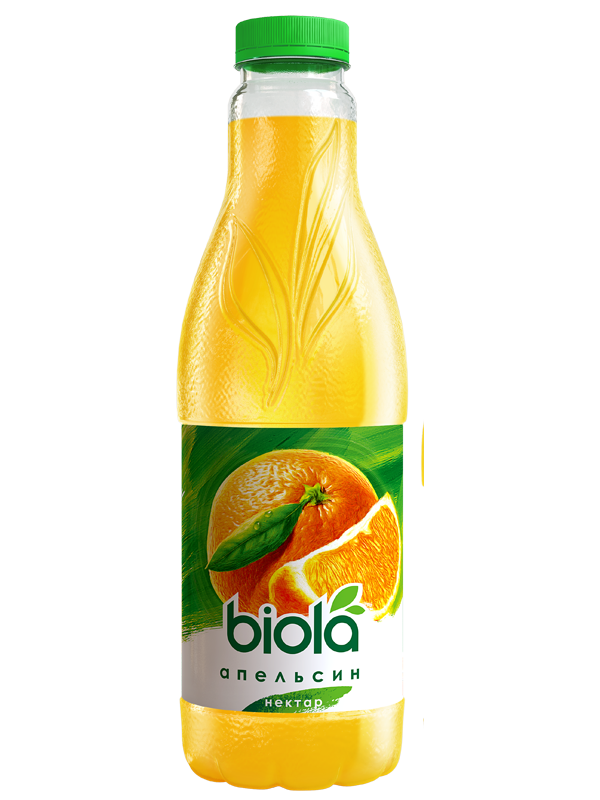 Drink "Biola" Orange is the source of the festive mood. It helps against the fatigue and increases body tone. 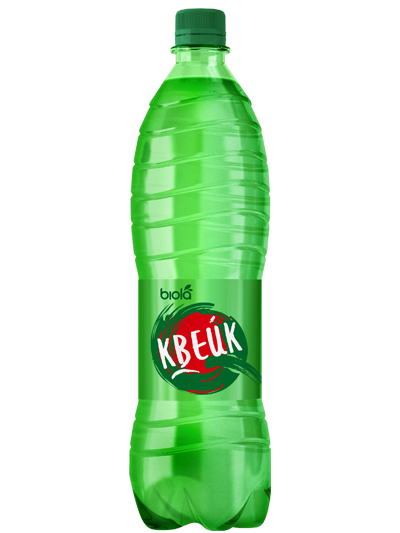 Homeland of pineapple is Brazil, the country of carnivals. 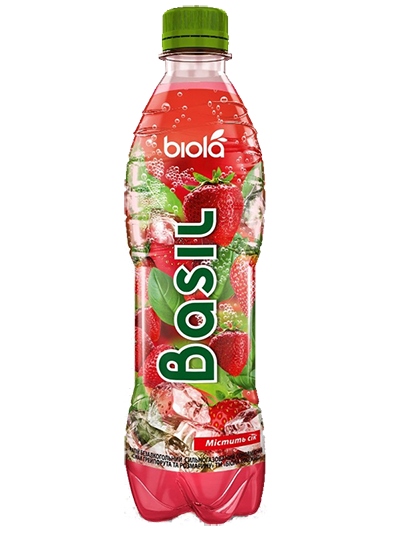 The use of this fruit in the food helps to prevent thrombosis and reduce blood viscosity. 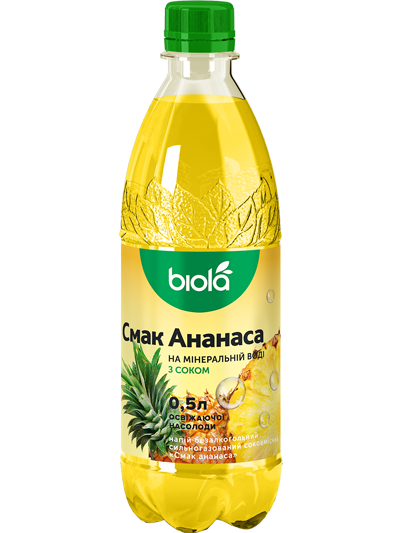 As the pineapple has anti-edema effect, it is recommended for diseases of the cardiovascular system and the kidneys. 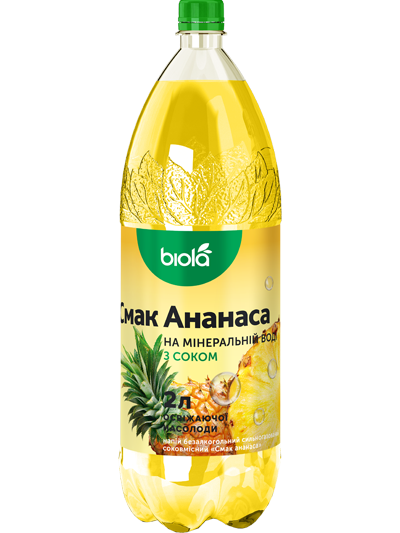 Pineapple juice contains a unique substance – bromelain that is an excellent natural fat burner. 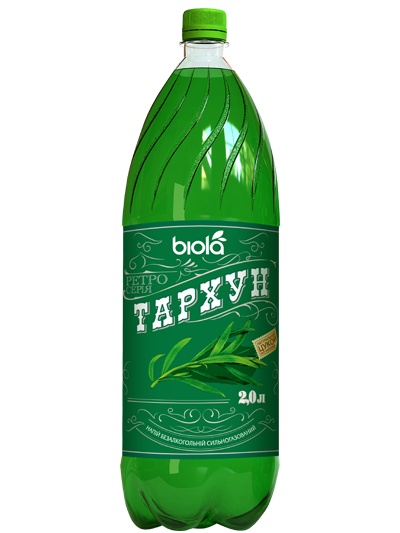 Cool drink was made by Georgian pharmacist at the end of the XIX century. 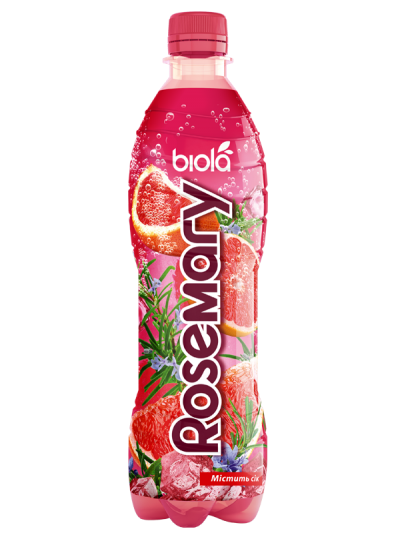 Unusual taste and color of the drink was achieved due to infusion of tarragon. 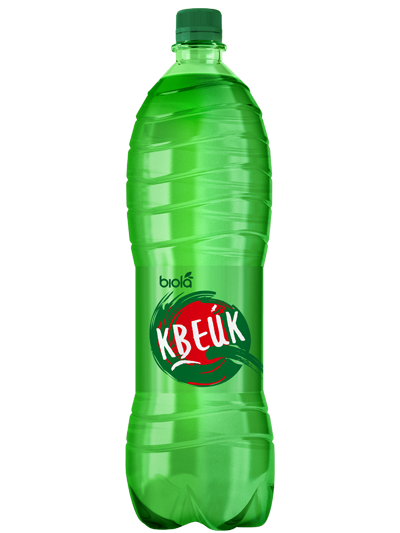 The drink has a refreshing and tonic effect. 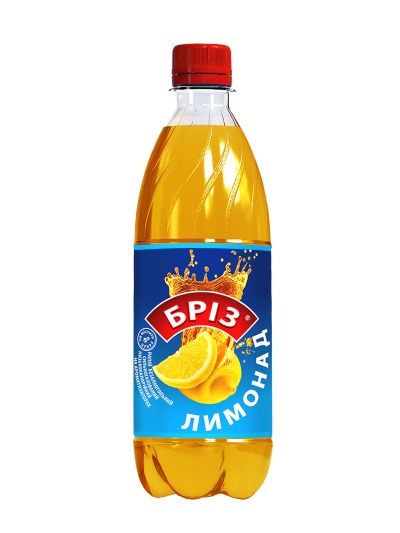 Lemonade is a drink of French origin. 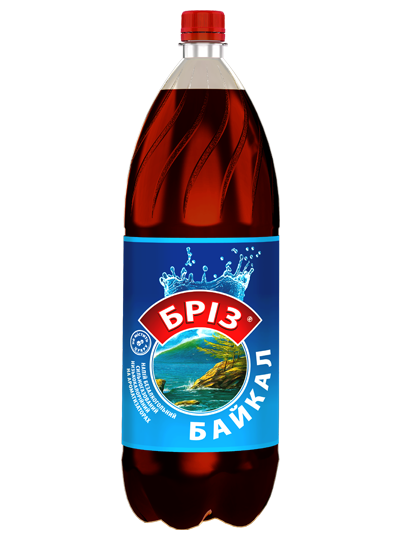 It became so popular that its name is often used as a general. 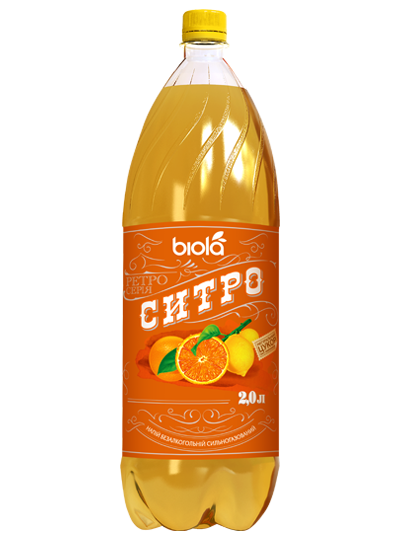 Soviet Citro was created later by selecting combinations of infusions of orange, tangerine, lemon, with the addition of vanillin. 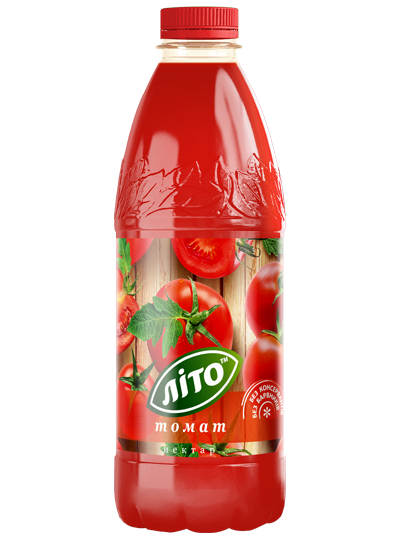 The recipe of this drink is known since 1976. 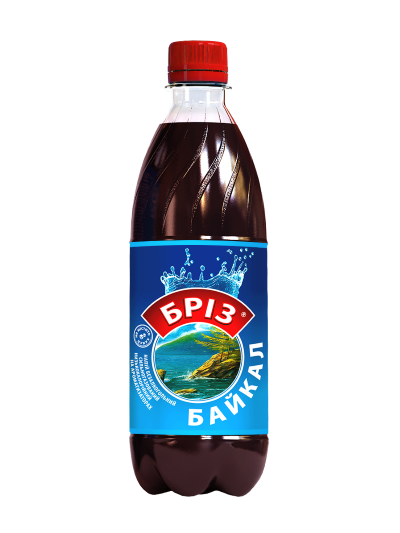 Many consider it was the "response of the Soviet Union" to drink "Cola", however, it is not so. 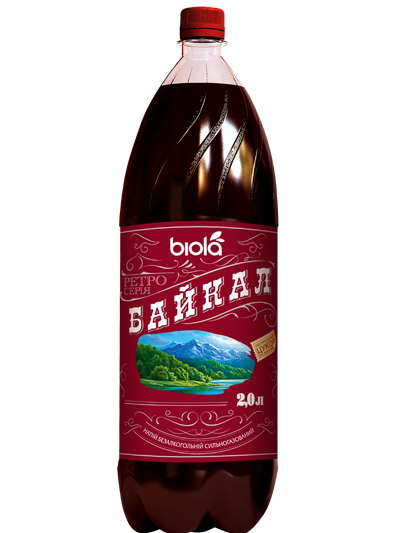 "Baikal" is an independent original drink with spicy taste of herbal extracts, tinctures eucalyptus and laurel. 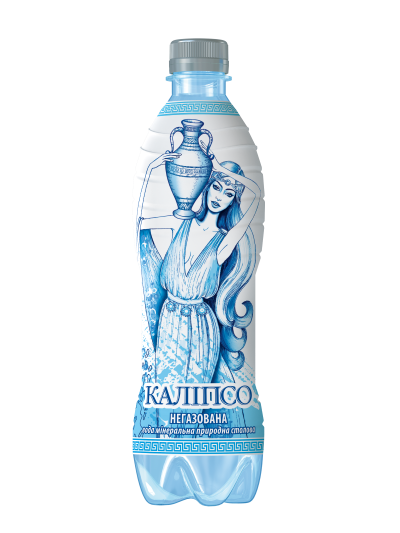 Due to this "Baikal" refreshes and restores strength. 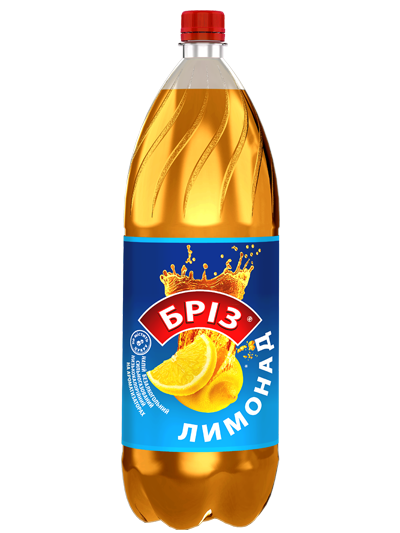 One of the most pleasant taste of childhood is still a unique taste of lemonade. 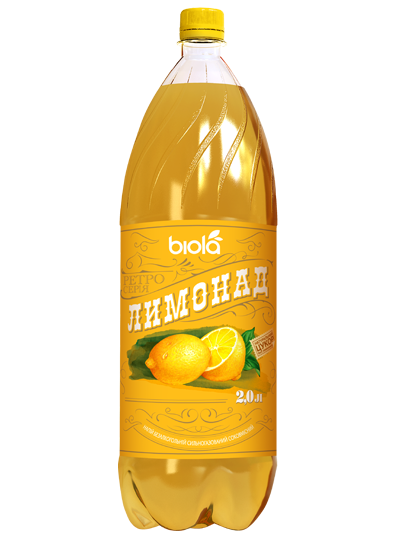 “Biola” Lemonade retains all the properties of classic lemonade drink, and natural juice, that contains drink, fills the body with vitamin C.
Яркий вкус молодежных напитков «Биола» производятся с использованием натуральных компонентов (апельсиновый сок, кофеин). 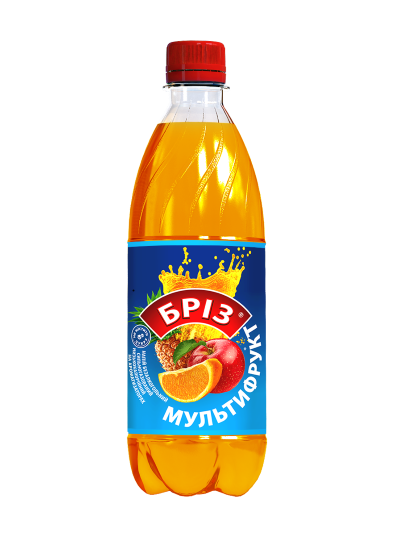 Аналог международных брендов по доступным ценам. 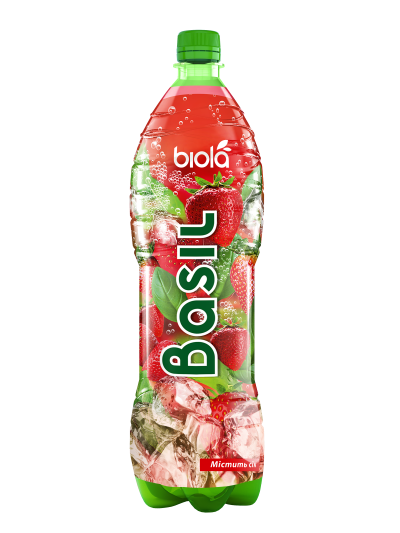 Gentle Basil impresses with a unique combination of taste of sweet juicy strawberries with noble spicy notes of basil. 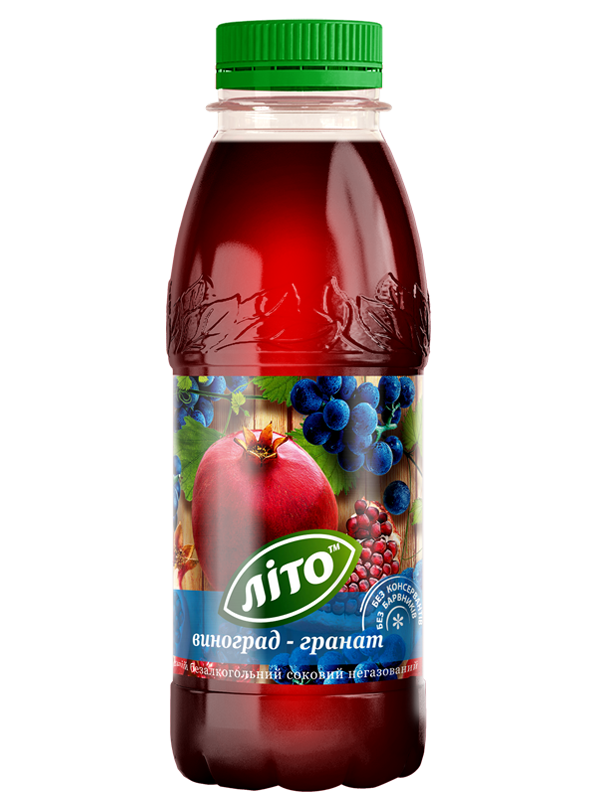 The drink contains natural juice and will appeal to lovers of delicious dessert flavors. 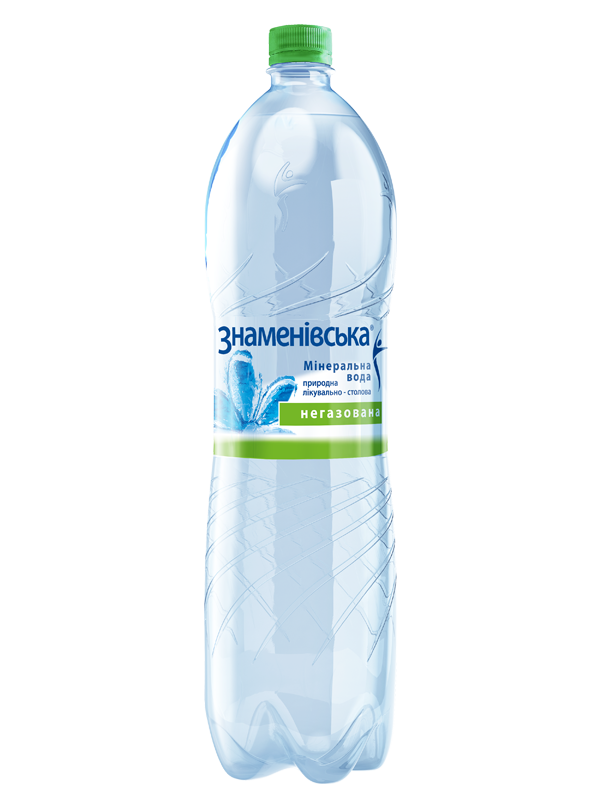 Perfectly quenches thirst and brings pleasure to everyday life. 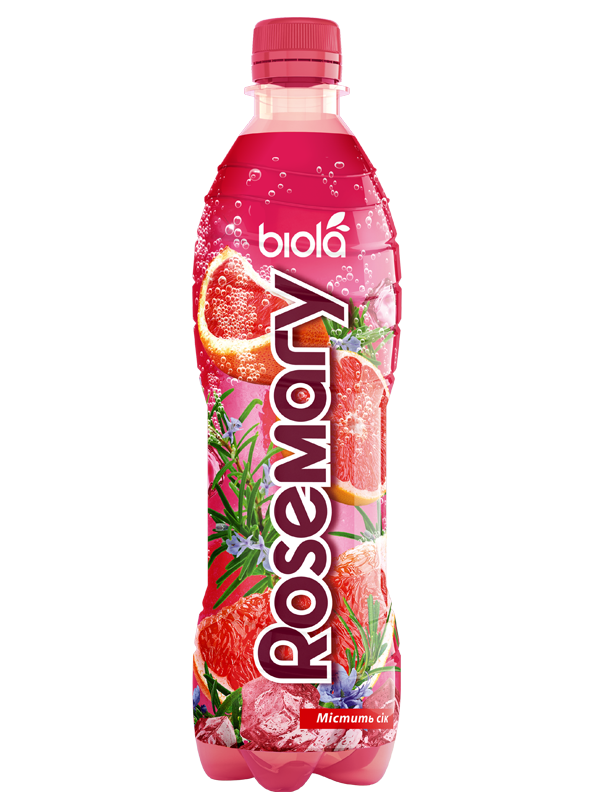 Refreshing Rosemary invigorateі with subtle bitterness of grapefruit and spicy fragrant aroma of rosemary. Drink perfectly quenches thirst in the summer, and goes well with ice. 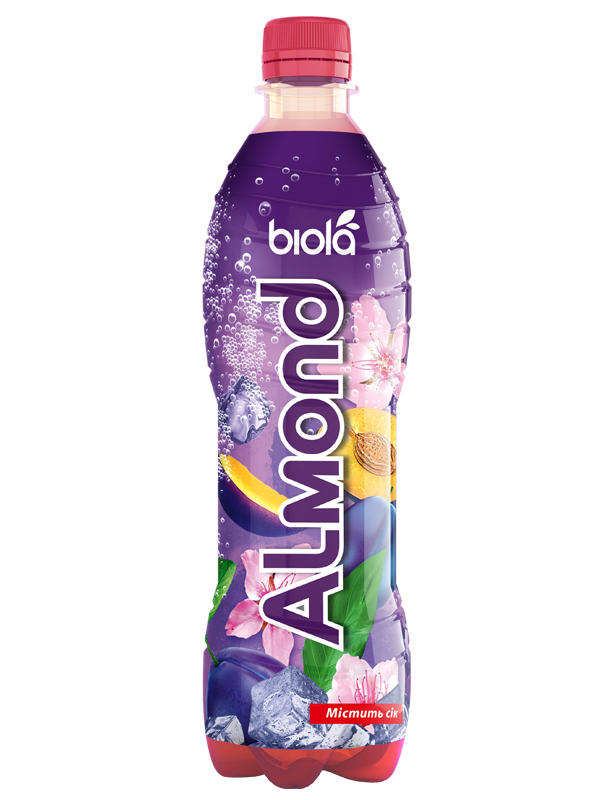 Sweet Almond with taste of juicy plums and refined aroma reminds almonds taste the famous Italian liqueur. 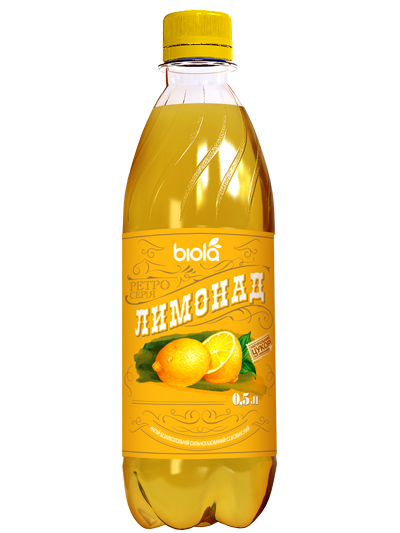 Sweet amber drink has a festive, noble taste. 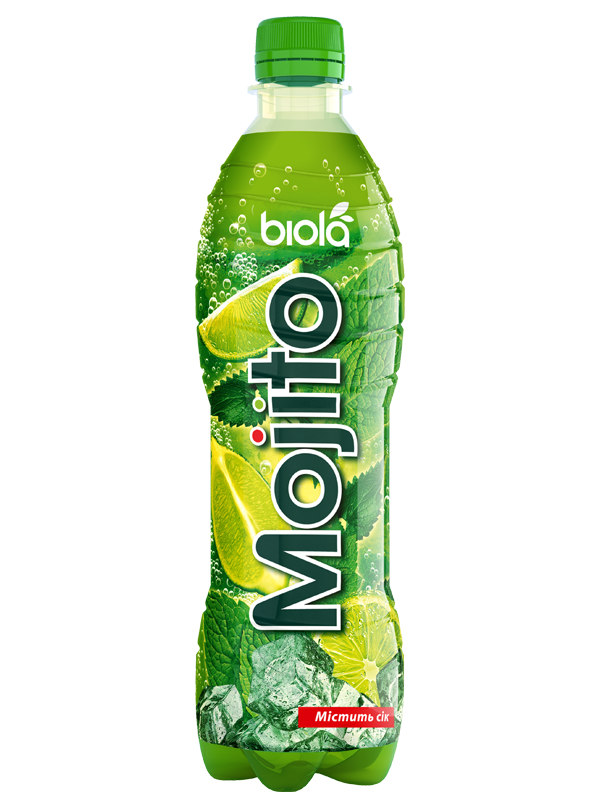 Cocktail "Mojito" is derived from Cuba. 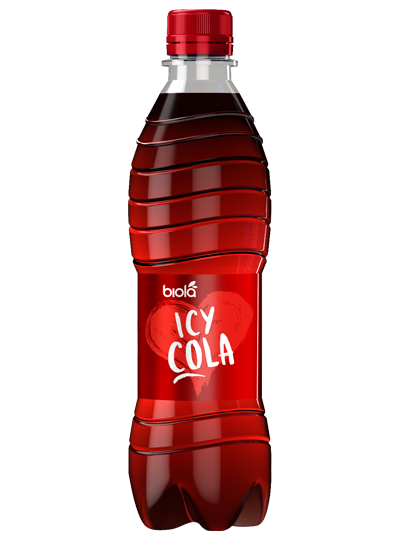 Drink became especially popular in the United States in the 1980’s. 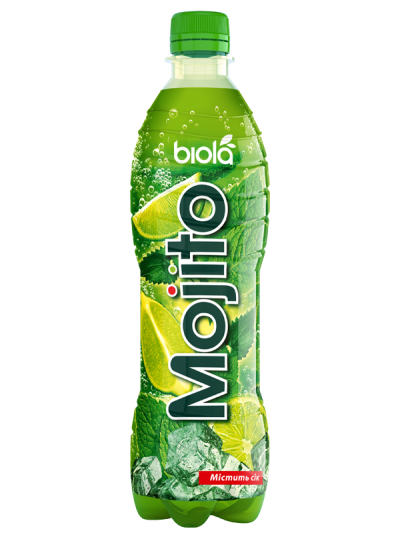 Mojito was favorite cocktail of Ernest Hemingway. 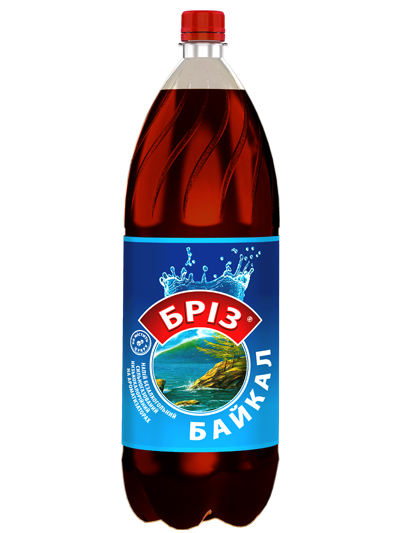 Низкокалорийные напитки «Бриз» созданы для тех, кто любит сладкое, но следит за фигурой. 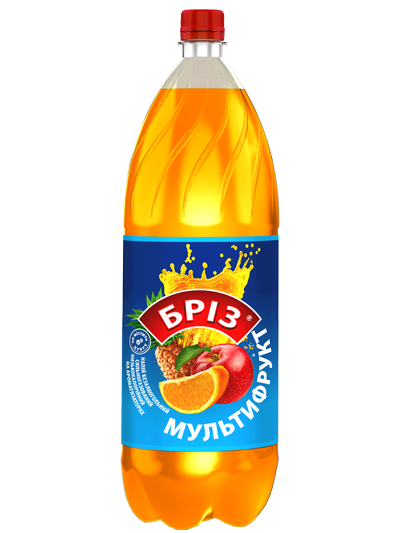 Традиционные любимые вкусы по доступной цене. 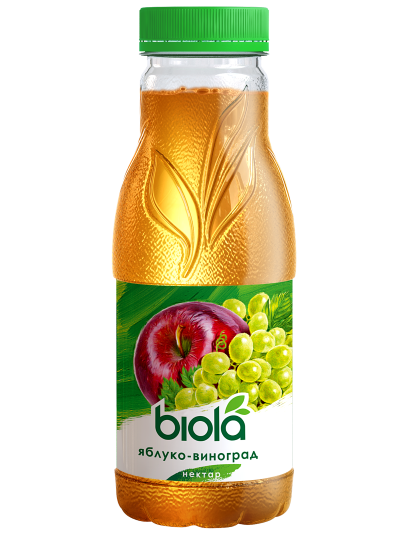 This carbonated drink with a soft taste of apple and grapes, completed with natural juice, brings coolness in the summer heat and positive energy. 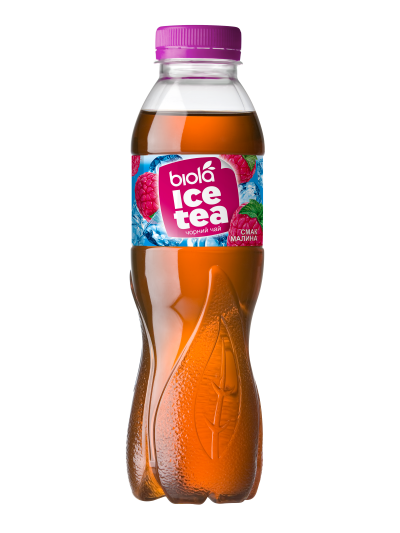 You don’t need worry about extra pounds due to low caloric level of the drink. 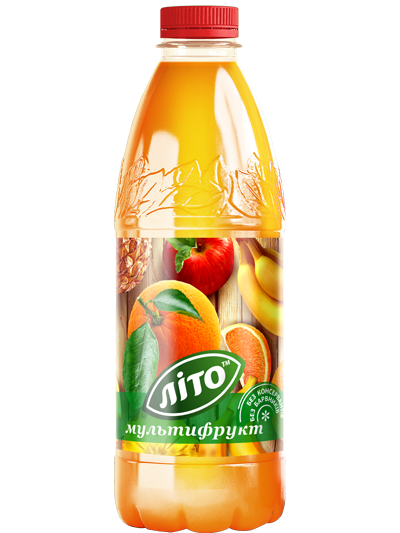 Ray of sunshine in a glass - all the heat of summer is collected in this fruit mix! 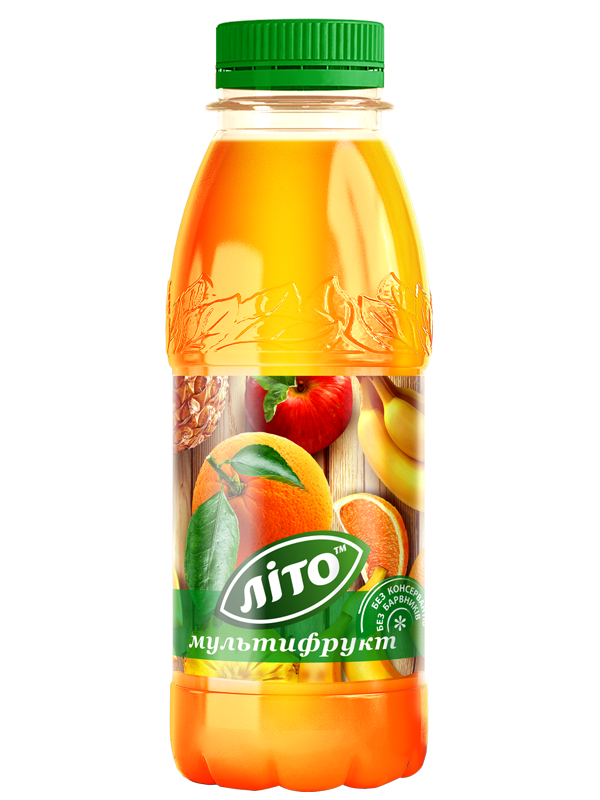 The drinks "multifruit" are popular all over the world. Any cocktail with multifruit would be interesting and saturated. 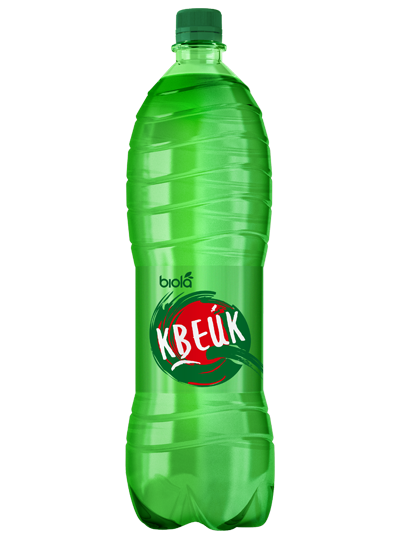 A subtle hint of lime will be appreciated by lovers of spicy flavors! 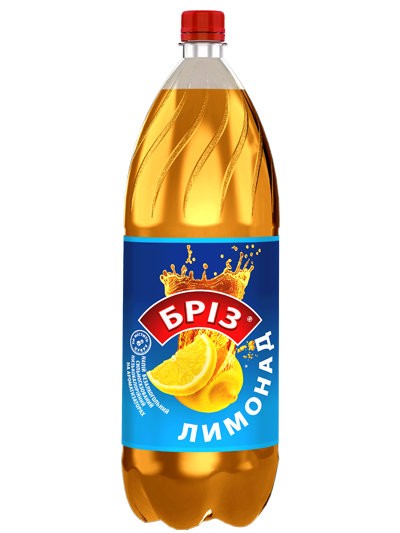 Classic taste of lemonade is familiar for all from childhood. 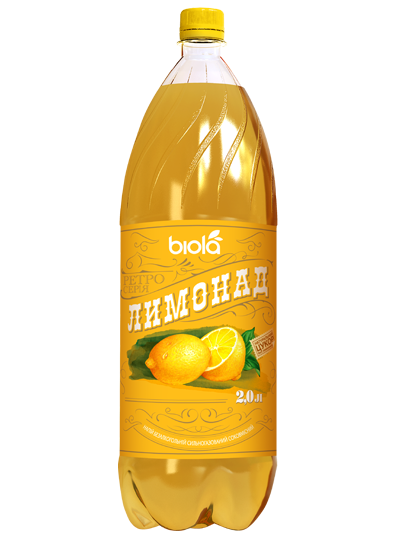 Lemonade always gives you a festive mood and guarantees a boost of energy in the most intense heat! 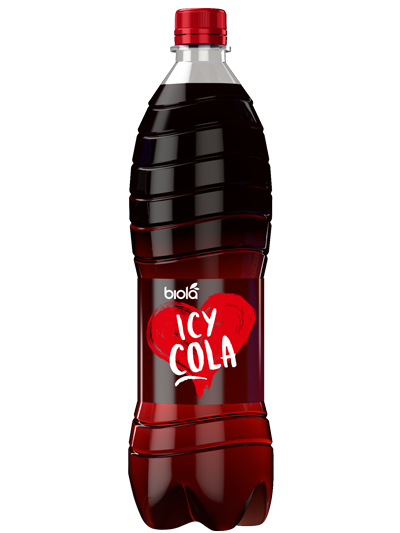 Therefore, it is loved both by adults and children. 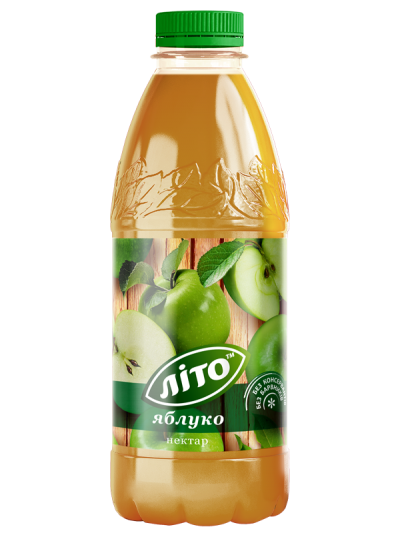 Non-alcoholic soft drink "Duchess" has a light taste of fragrant pears. It is enjoyable both for children and adults, retained memories of their childhood. Introducing the "Ice Tea" tasteful "Peach”. Black tea is well relieves summer somnolence and fatigue, thirst quencher and refreshment. A peach helps to relieve emotional tension. 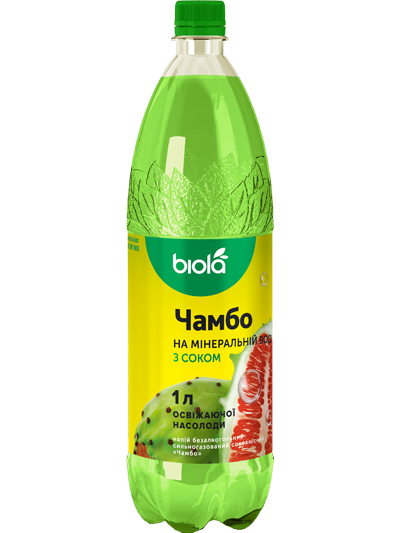 Soursop is a tropical fruit, also known as "sour apple". 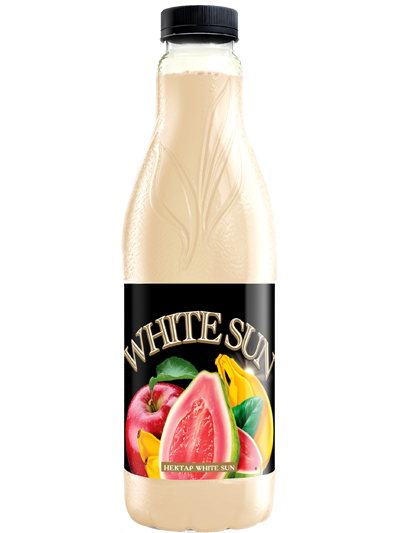 Fruits of soursop tree are known for their sweet and sour, even muscat taste. 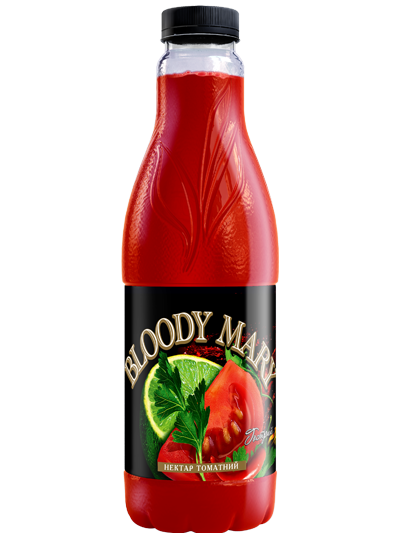 This fruit is the most common in the Dominican Republic, Cuba, the Bahamas, Colombia and northern Brazil. 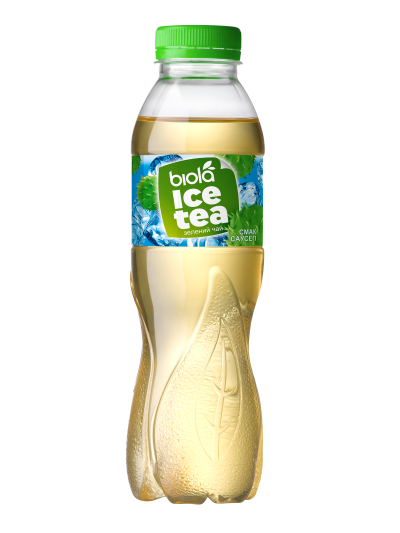 Green tea with Soursop extract has diuretic properties and helps to treat kidney. Raspberry tea has a pleasant taste and aroma. 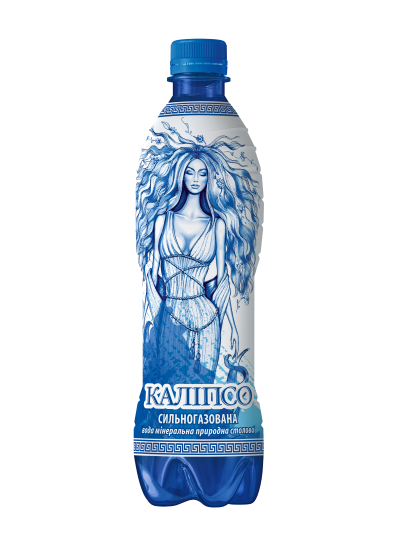 Malina has anti-aging and aromatherapy effects. 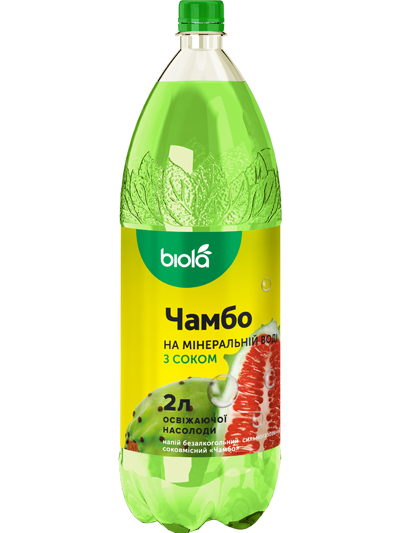 It contains organic acid salts of iron, potassium, copper, tannins, fiber, vitamins C and PP. 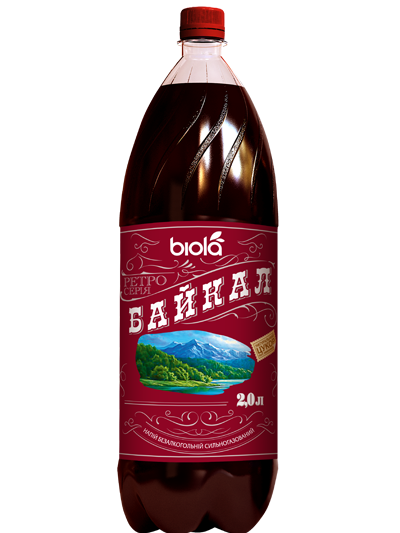 Raspberry growth in the wild throughout Europe, the Caucasus, Western Siberia, in the mountains of Central Asia and Kazakhstan. 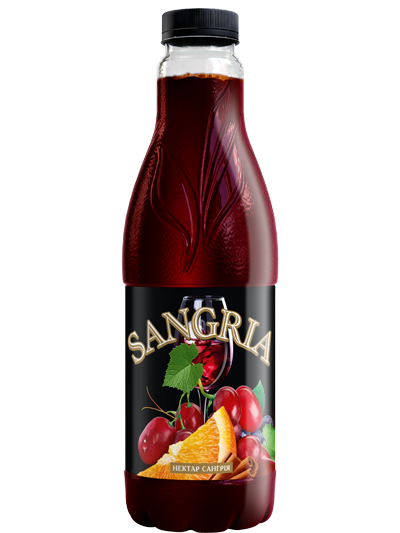 This berry is an excellent thirst quencher. Black tea is usually consumed with lemon and rarely with other citrus. 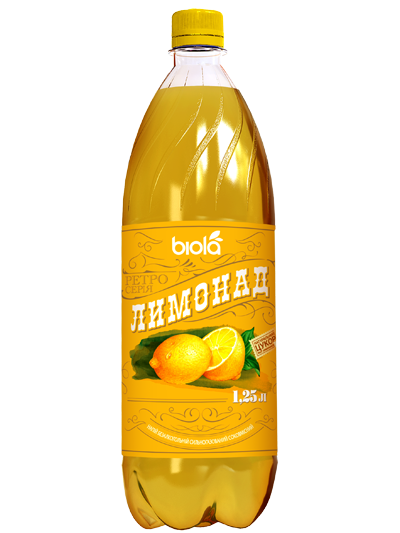 The combination of tea with citrus enhances the nutritional, medicinal properties of this drink: it restores lost strength and quenches thirst. That's why tea with lemon usually drink people in hot countries – India, Iran, Turkey, Florida and California (USA). 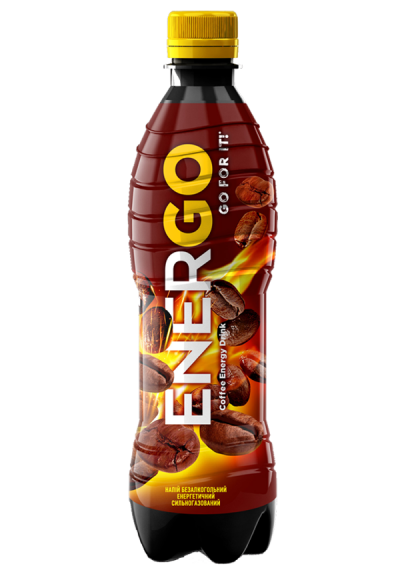 EnerGo Coffee - energy drink with a delicate aroma and taste of natural coffee. 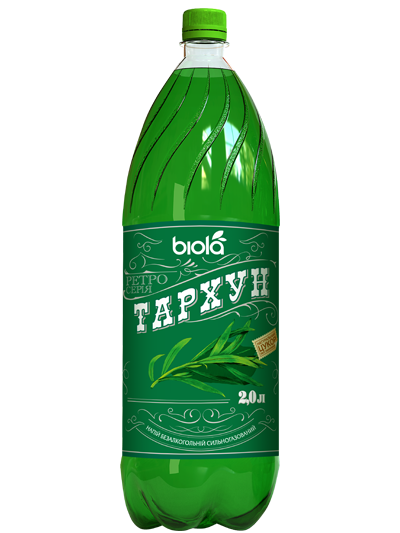 It has a unique composition - its natural tonic active ingredient is caffeine. There are no analogues in Ukraine. 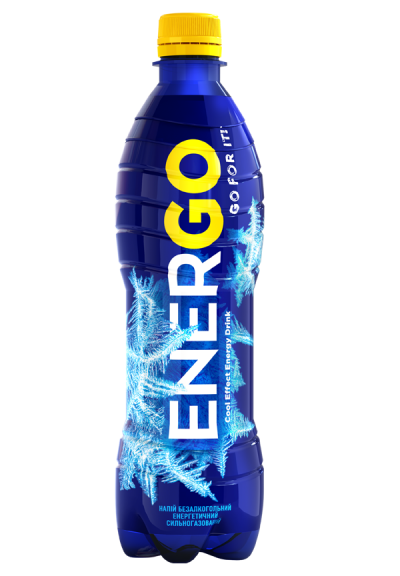 The difference between «Cool effect» and usual «EnerGo» is the presence in drink guarana extract, caffeine and light taste. It has unforgettable refreshing effect! 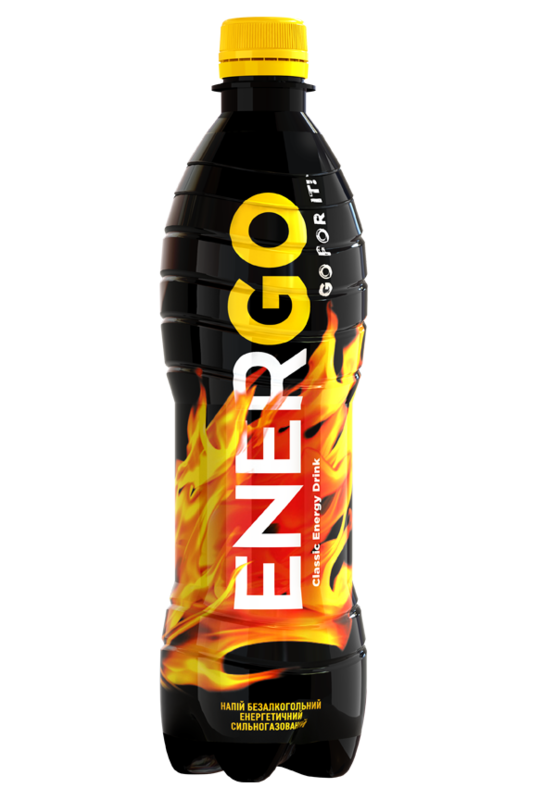 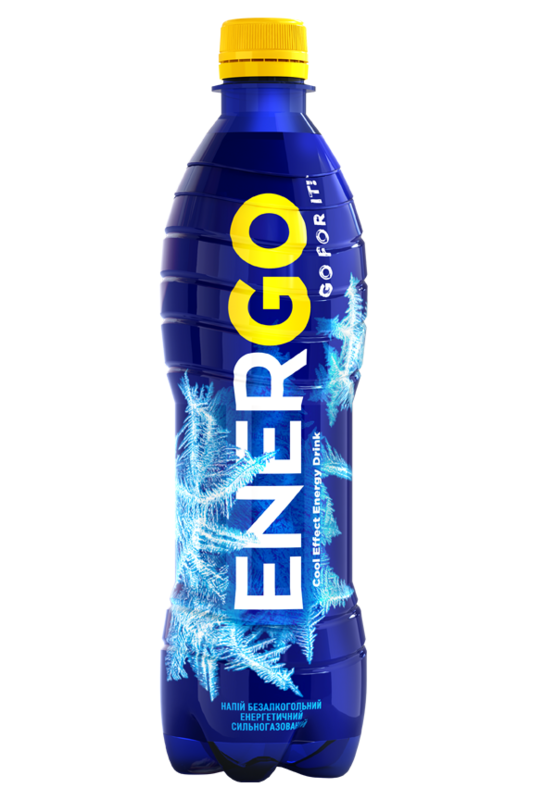 Recipe EnerGO includes natural active tonic substances, including caffeine, taurine and vitamin complex. 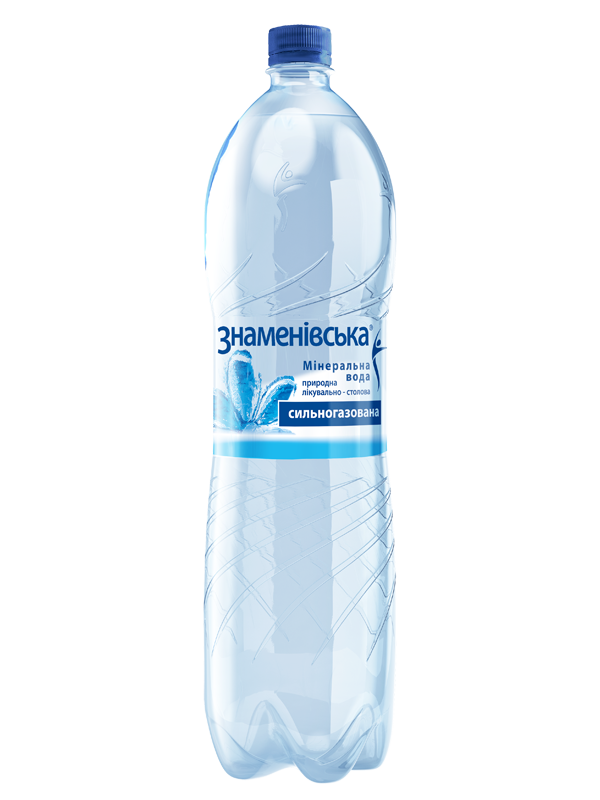 It is 32% of the RDA for a man.